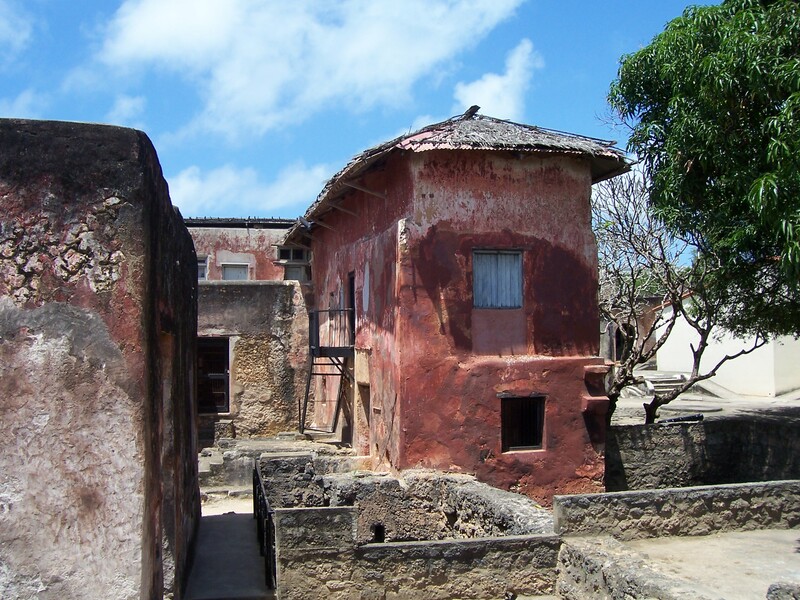 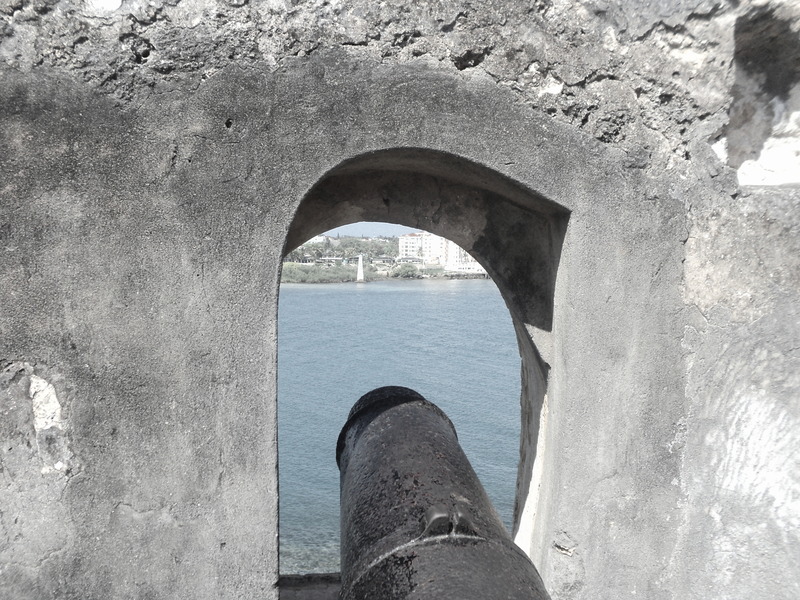 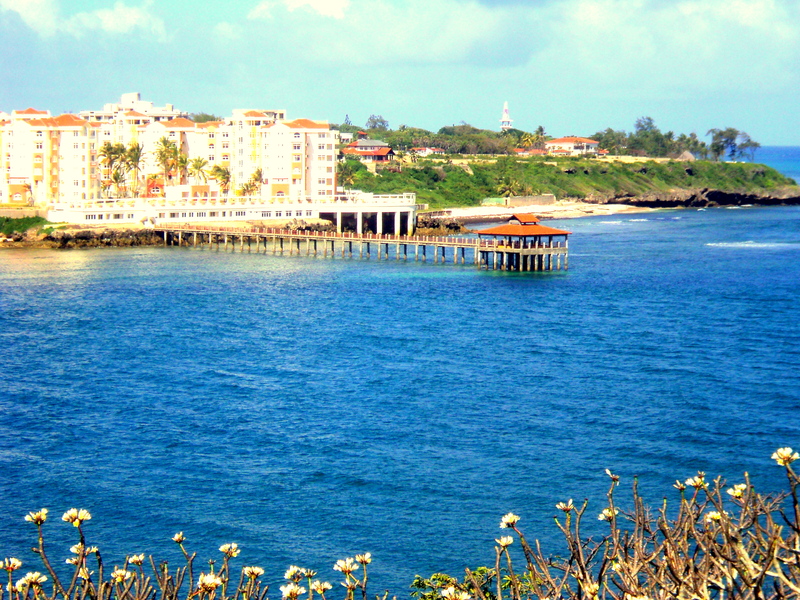 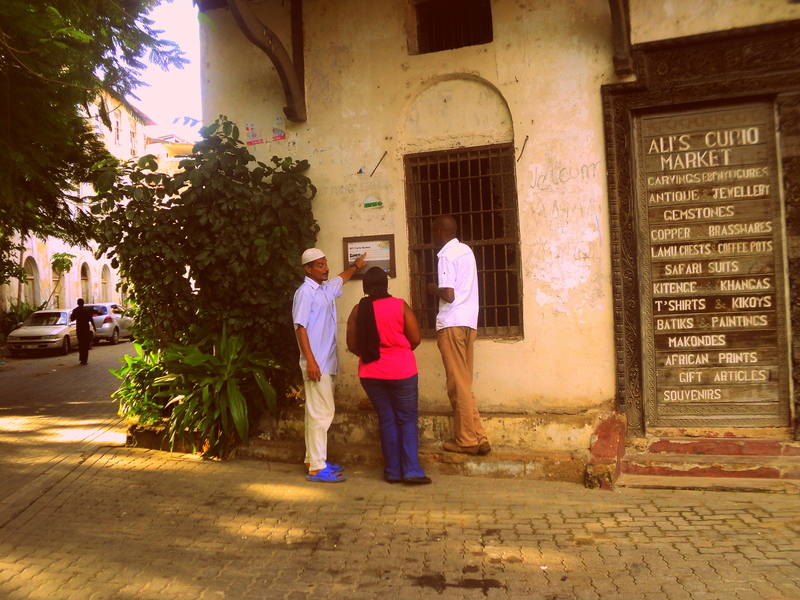 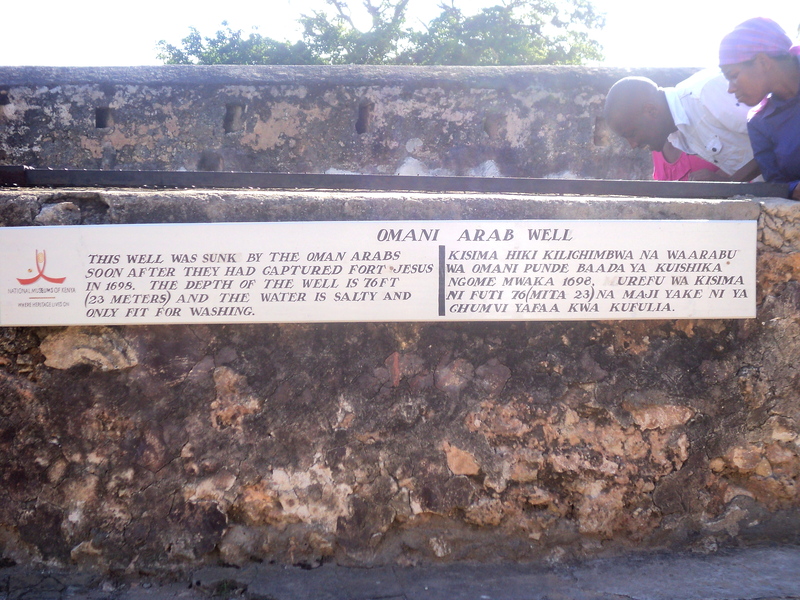 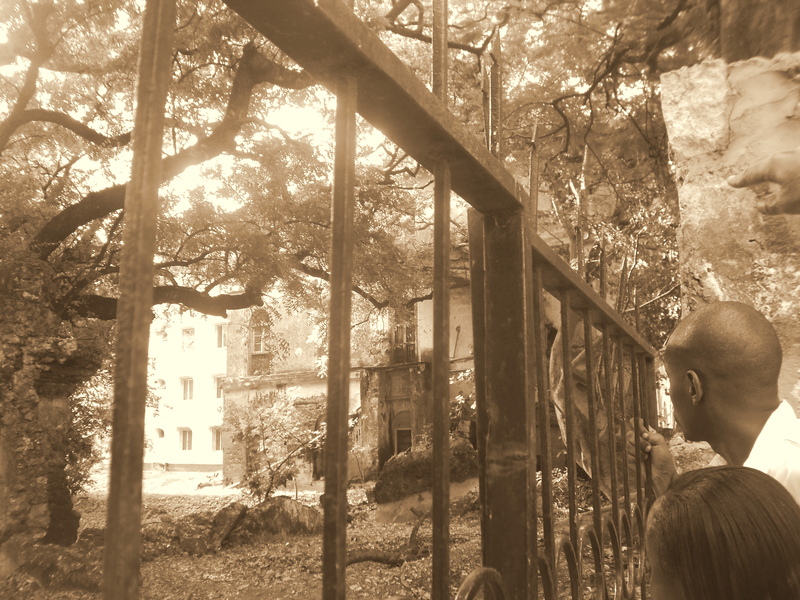 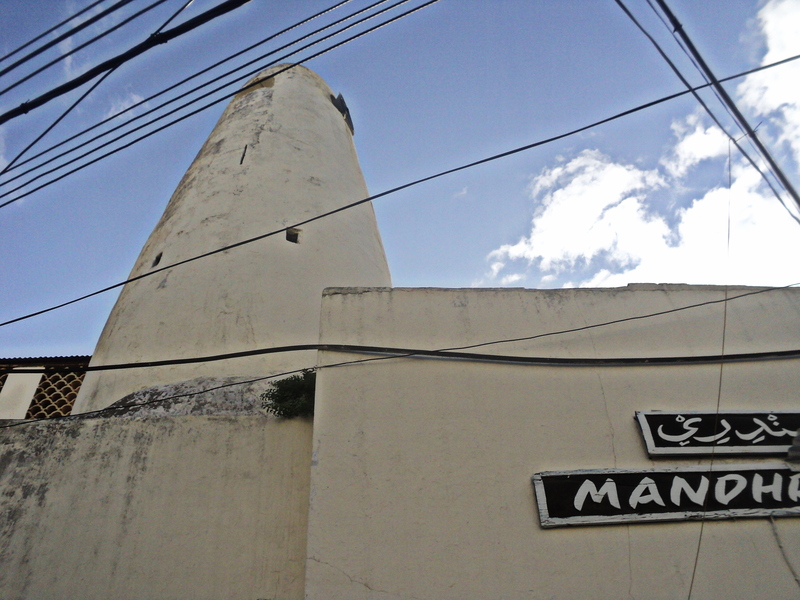 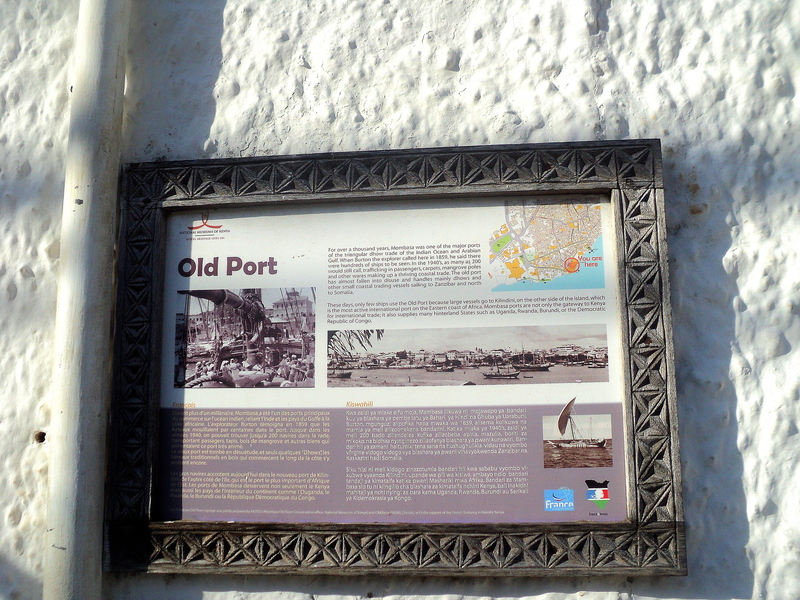 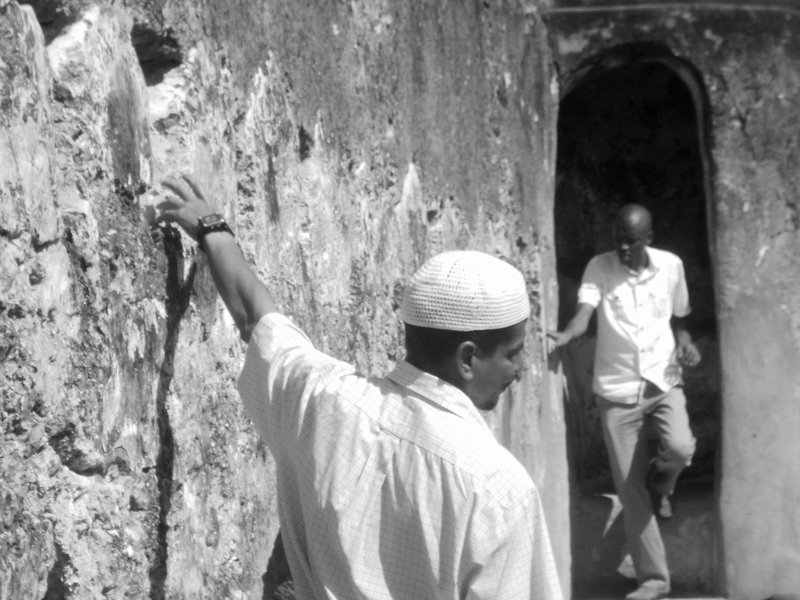 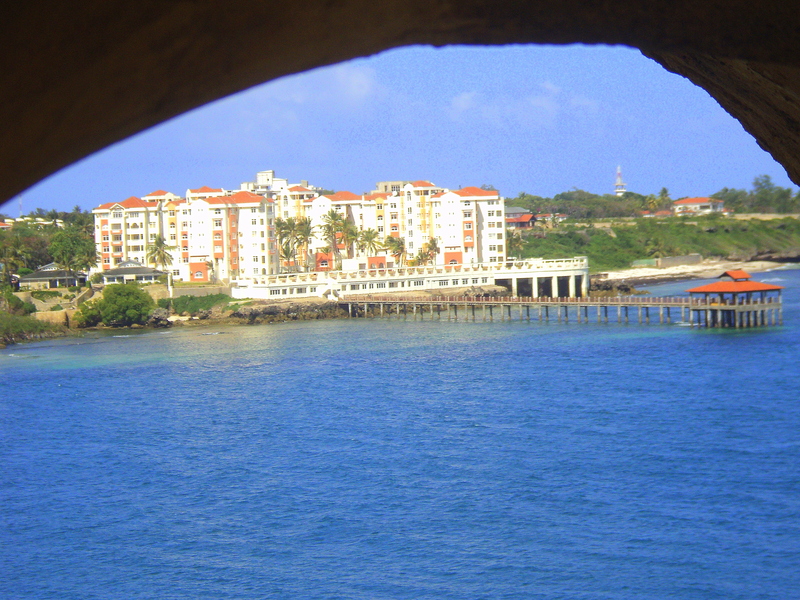 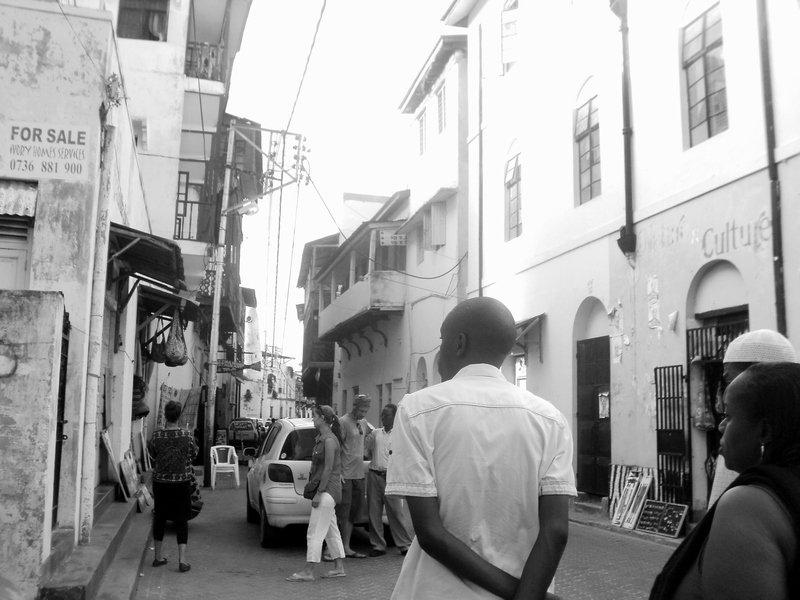 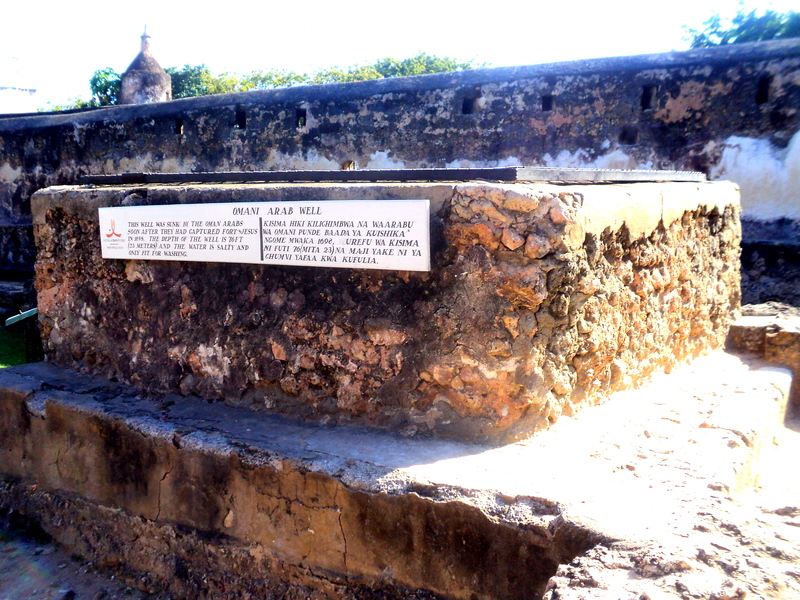 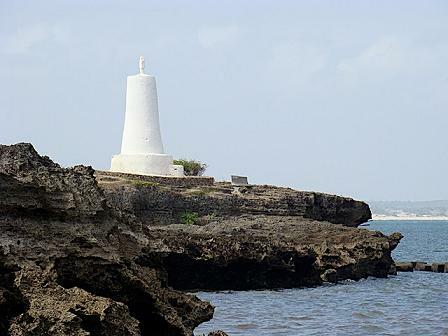 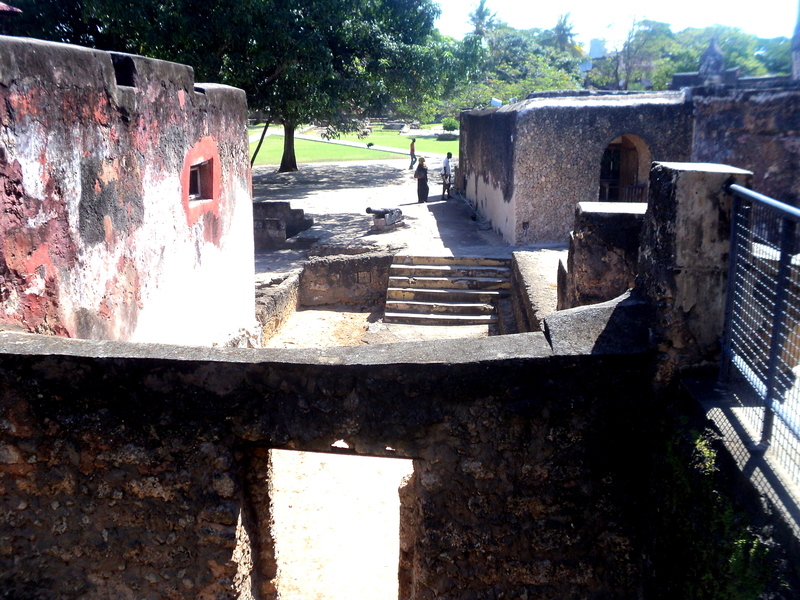 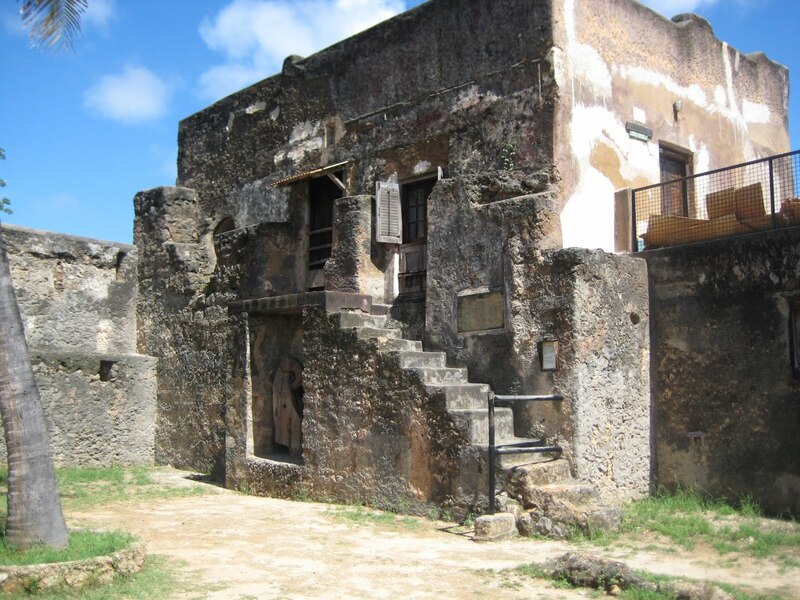 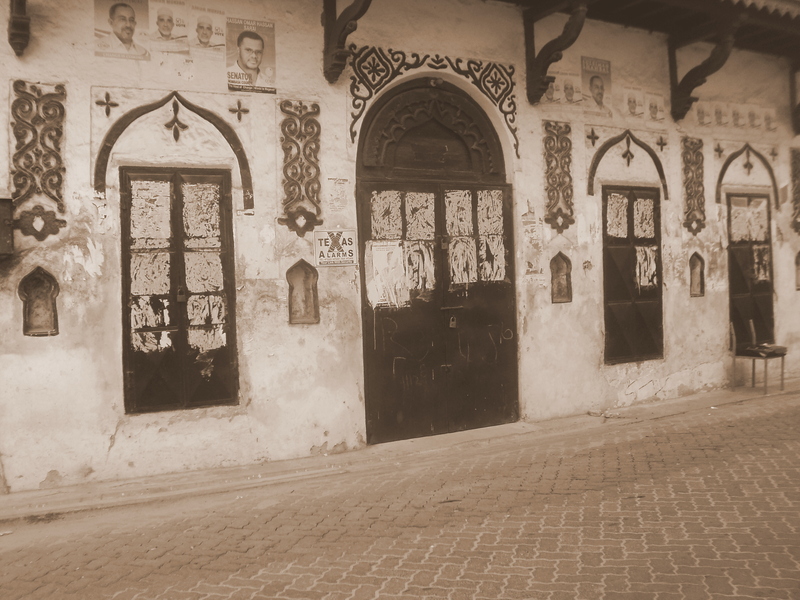 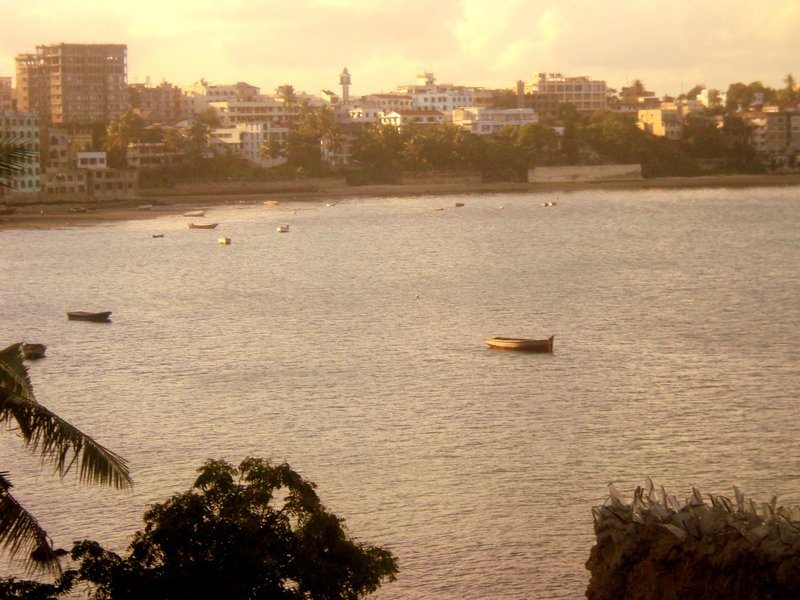 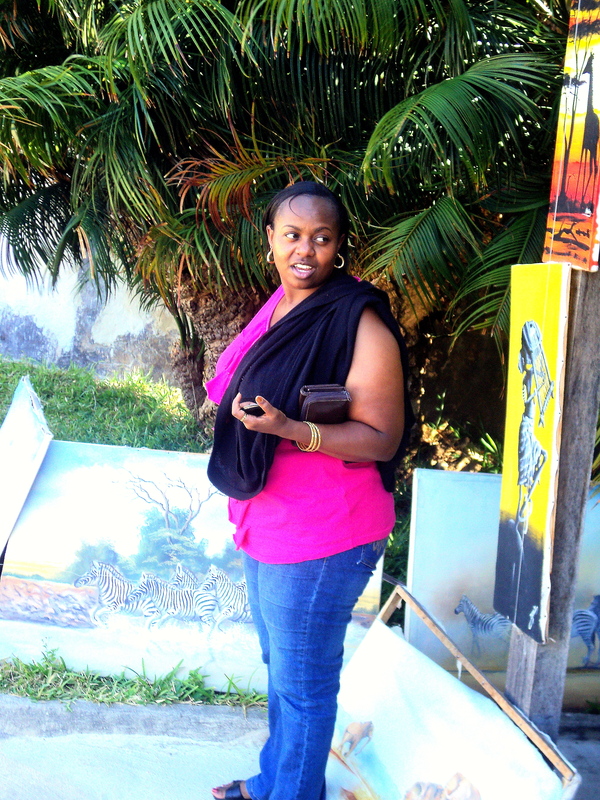 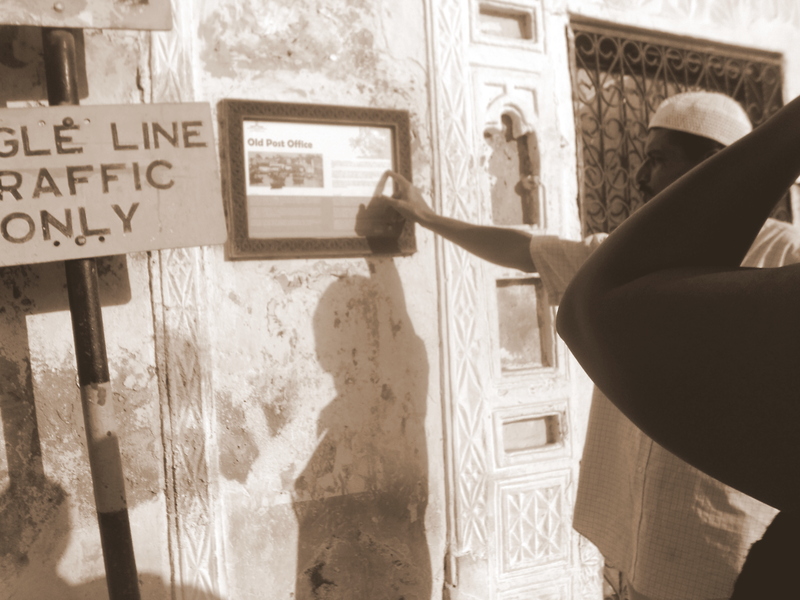 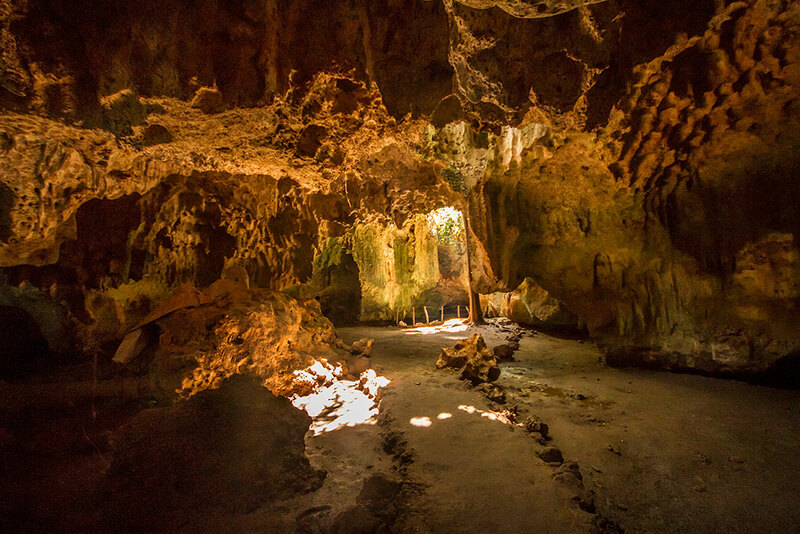 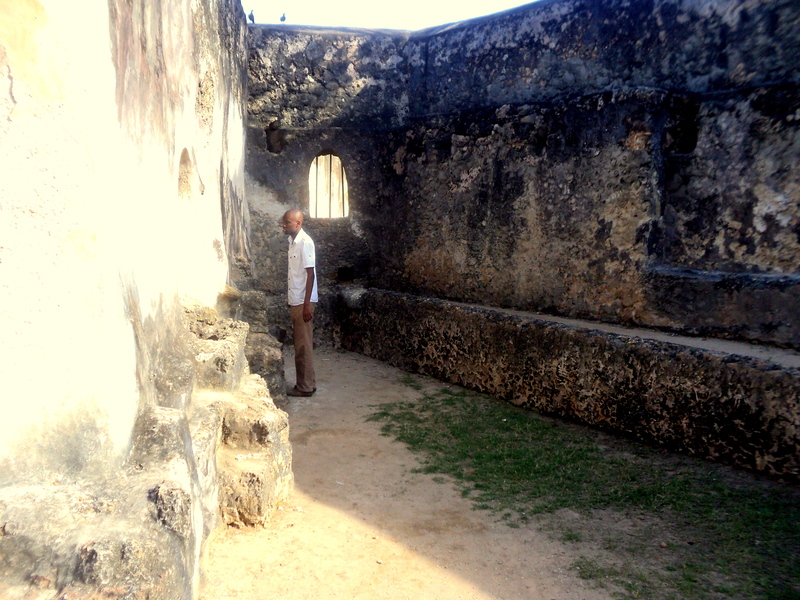 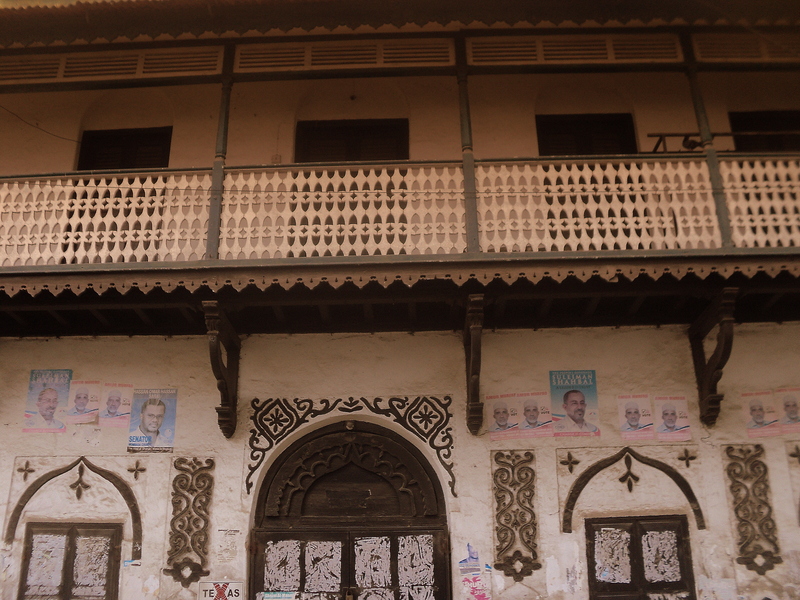 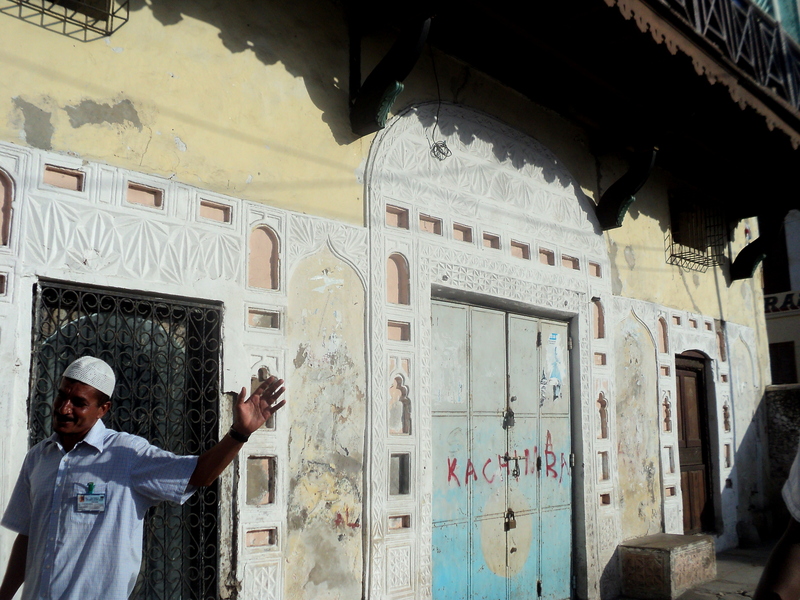 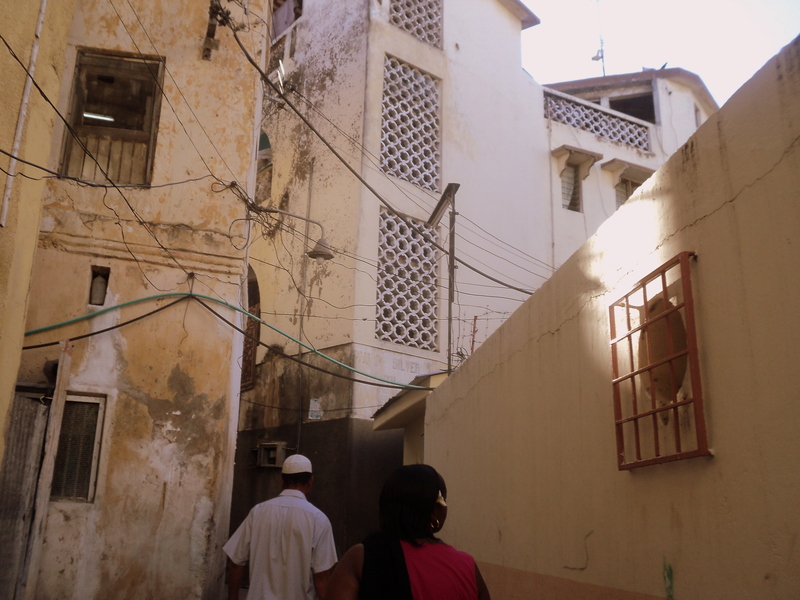 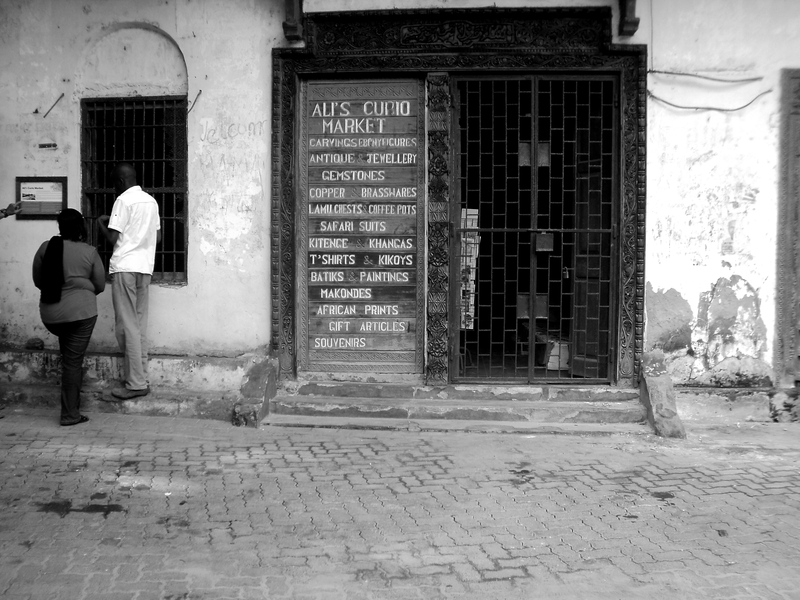 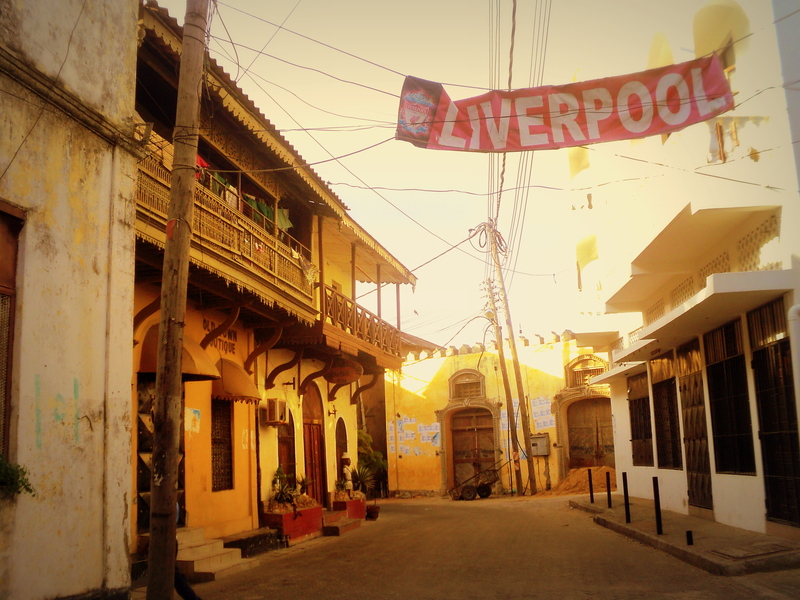 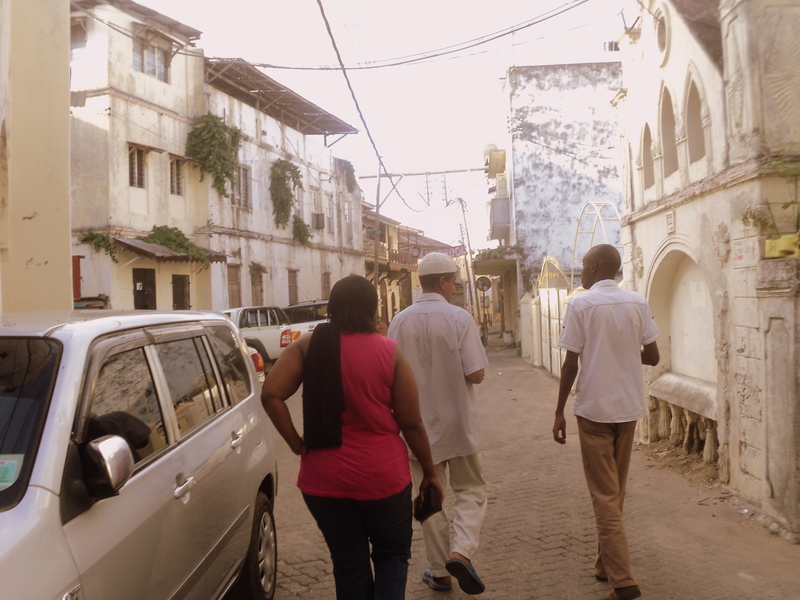 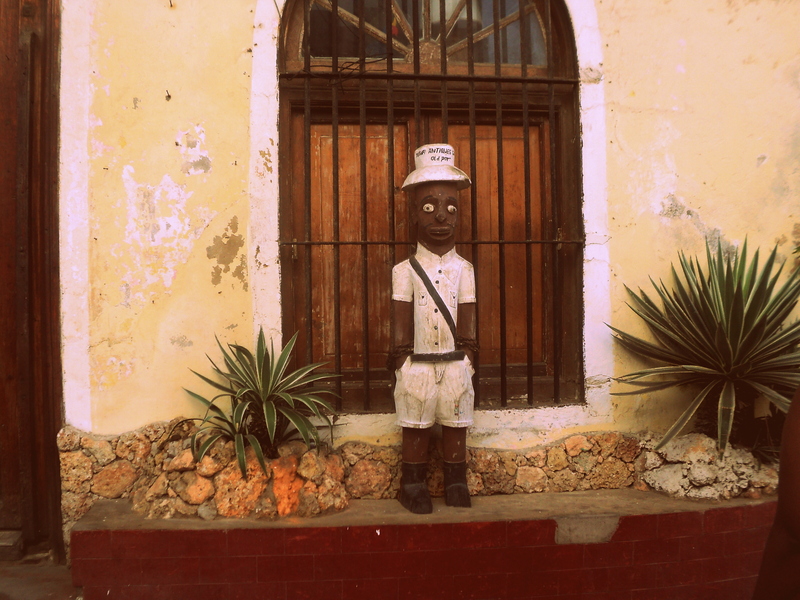 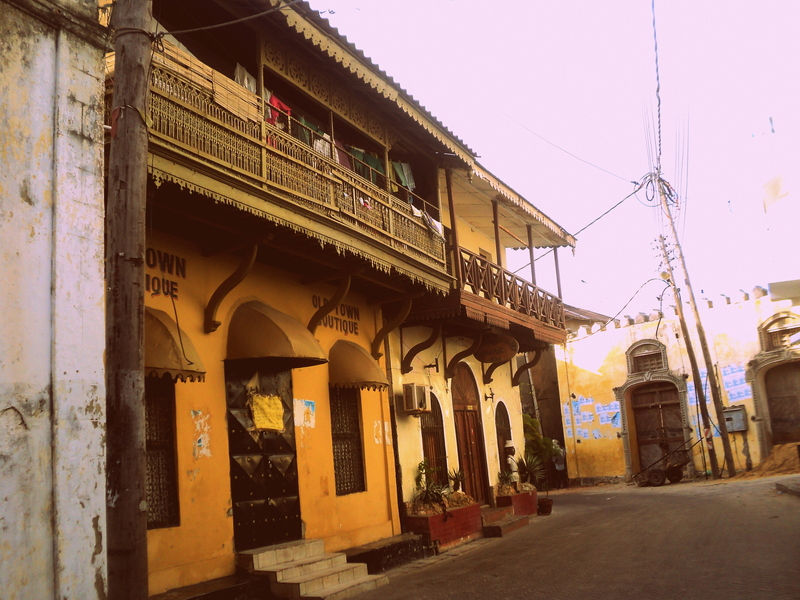 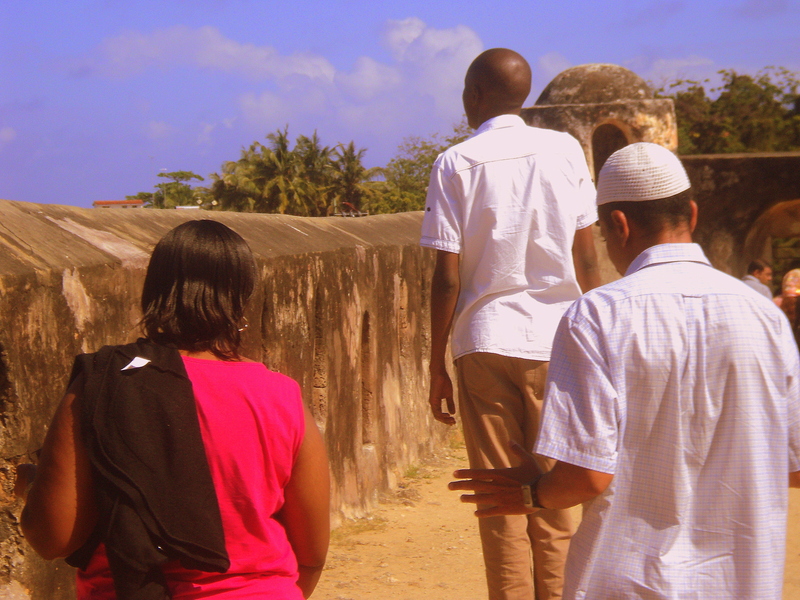 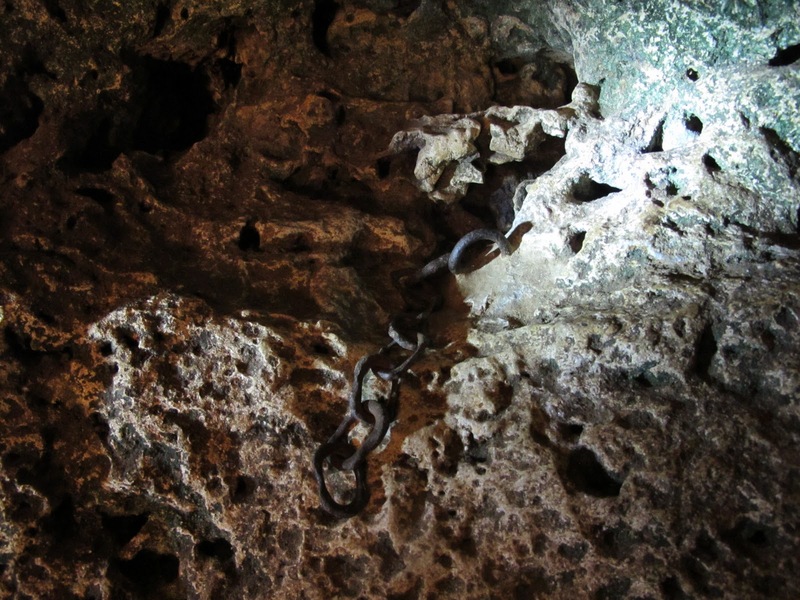 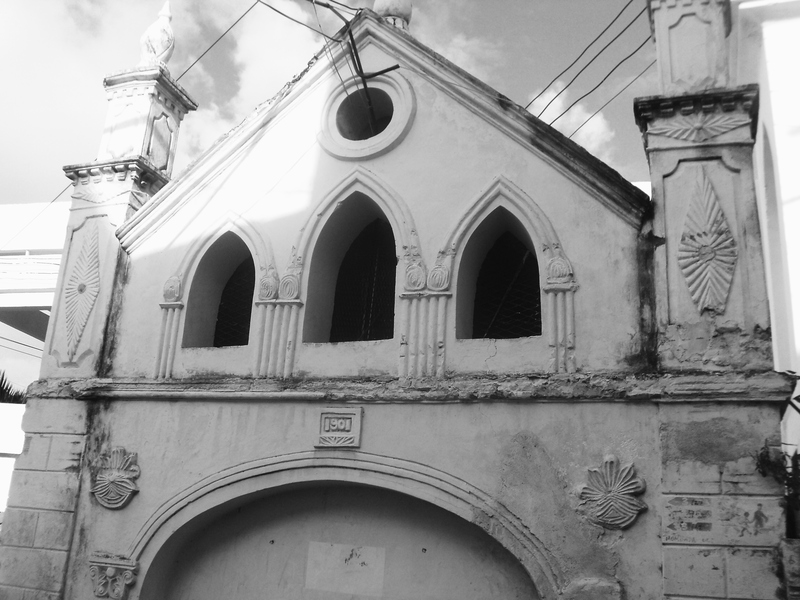 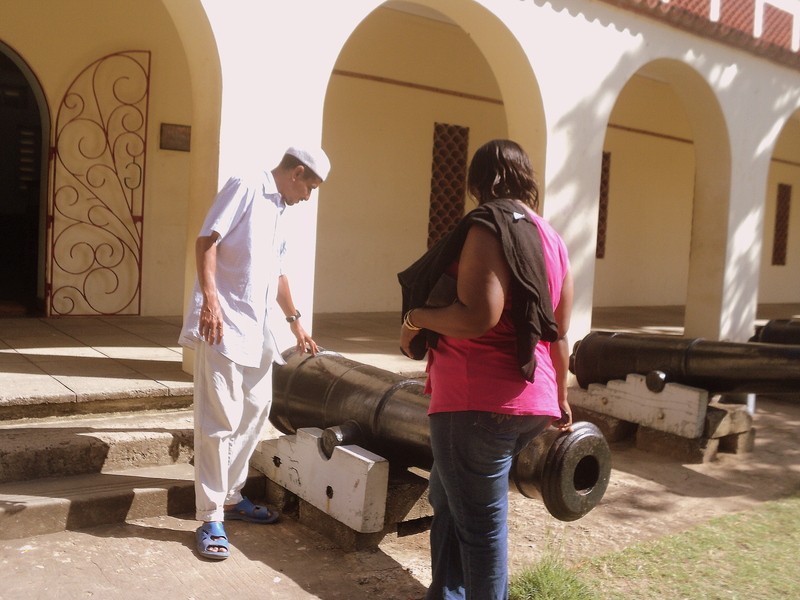 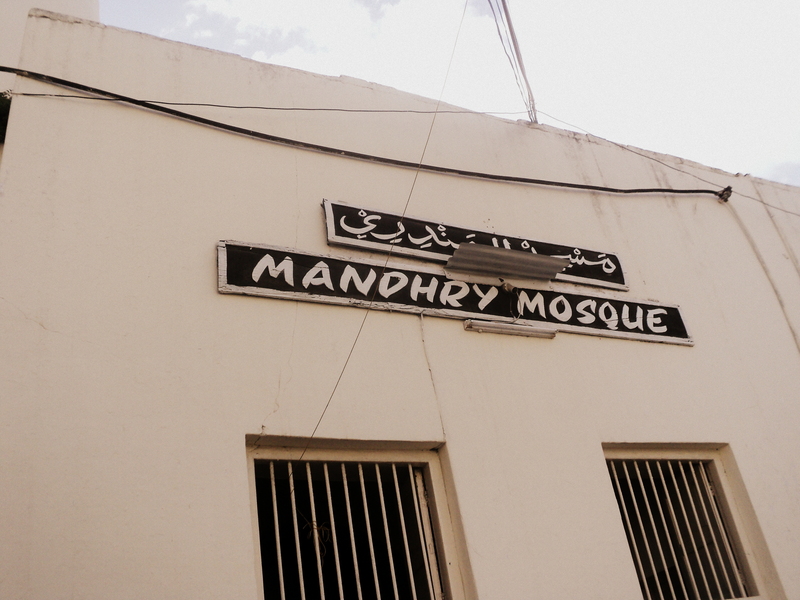 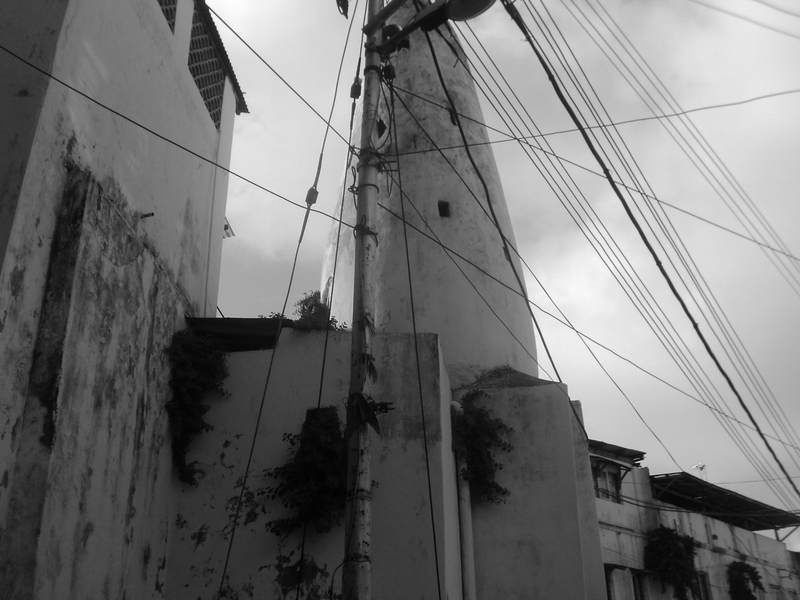 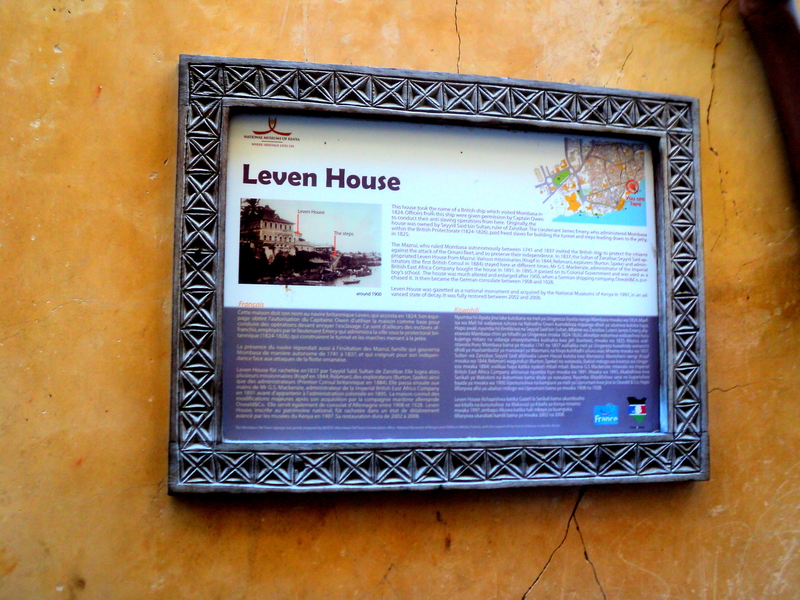 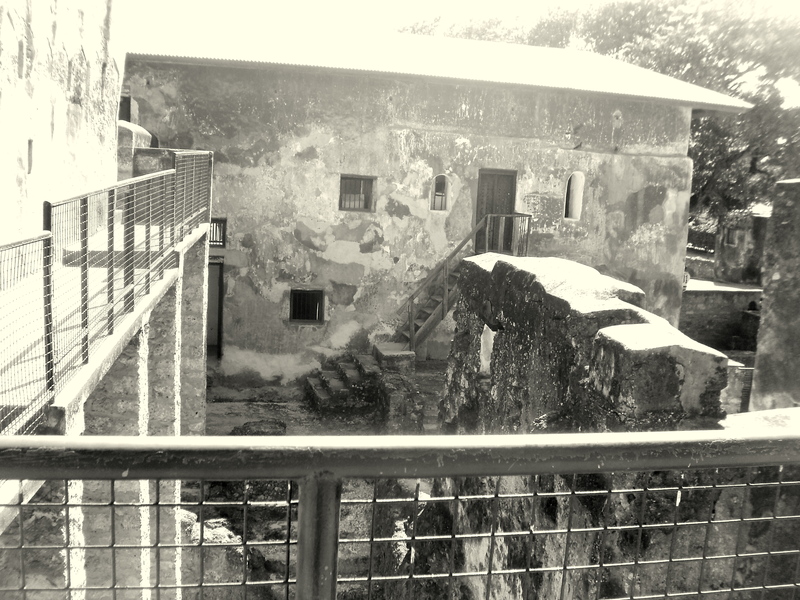 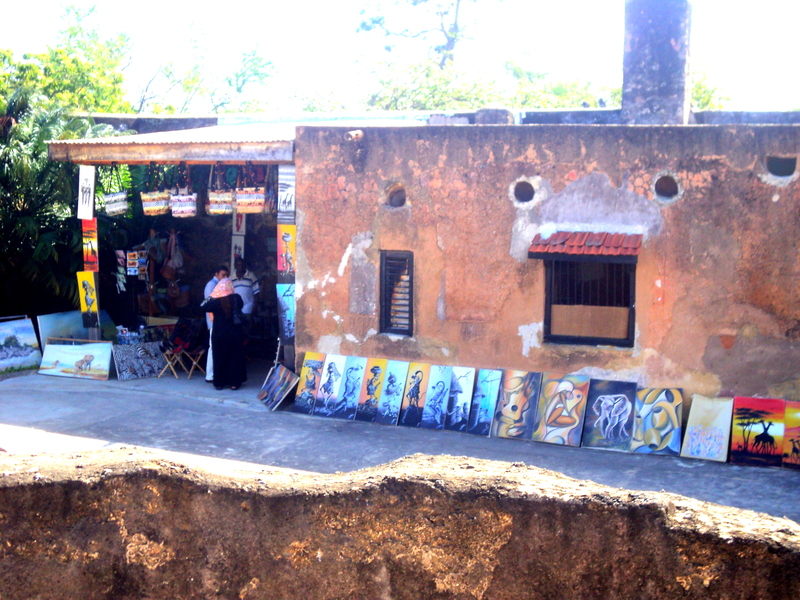 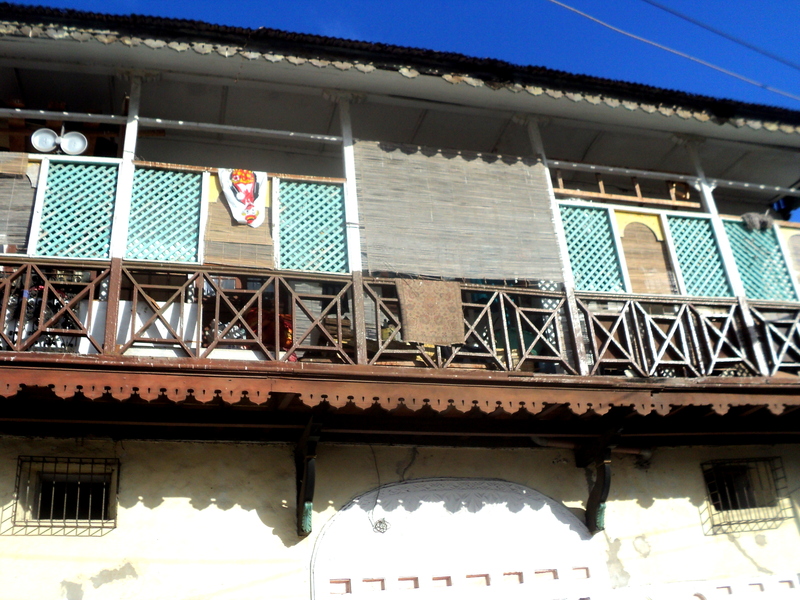 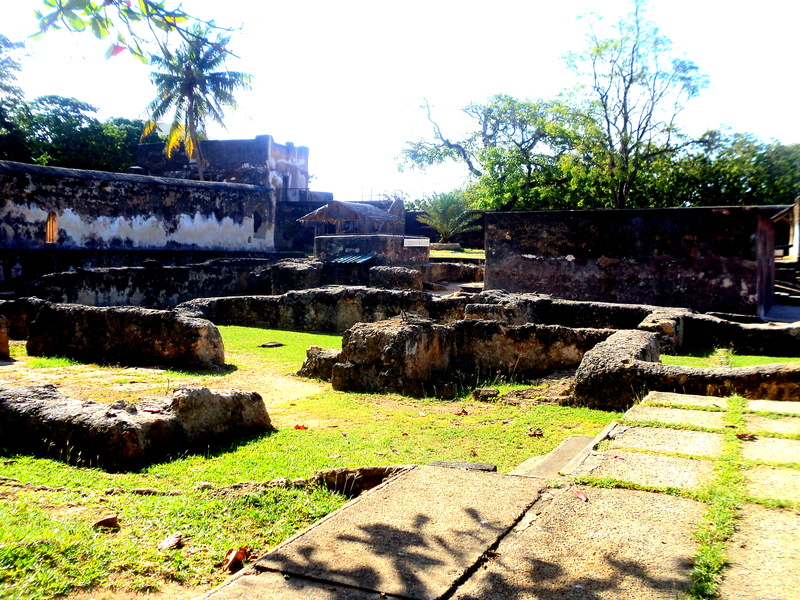 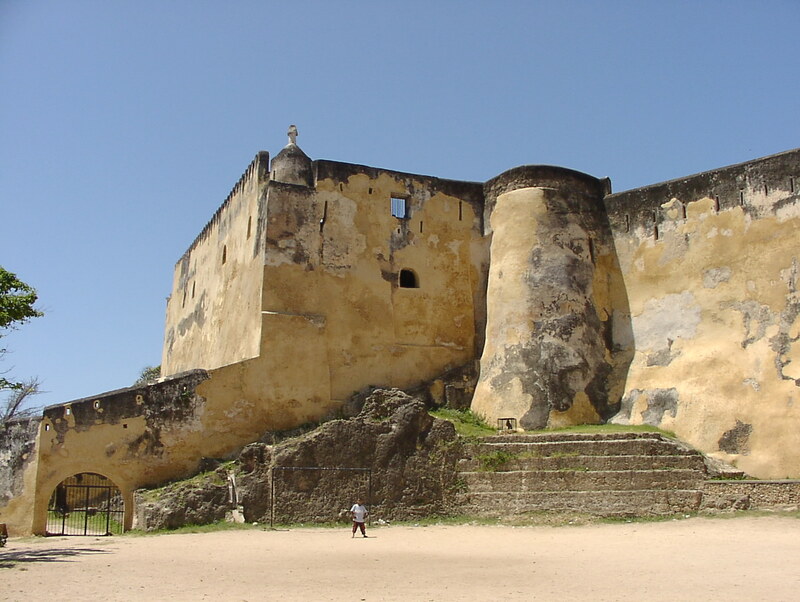 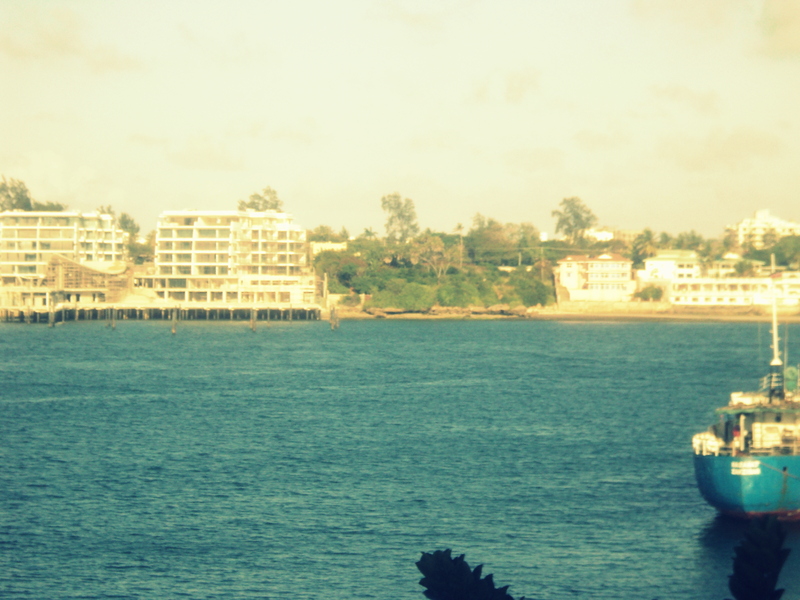 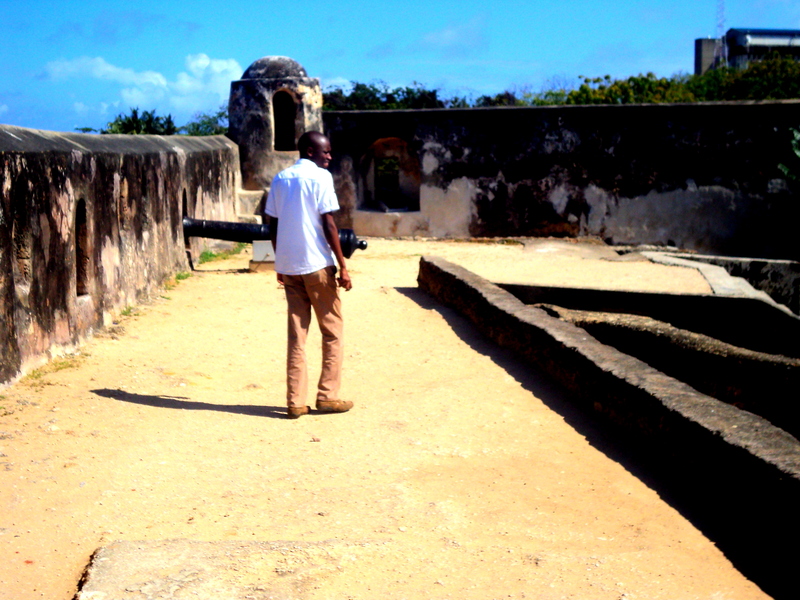 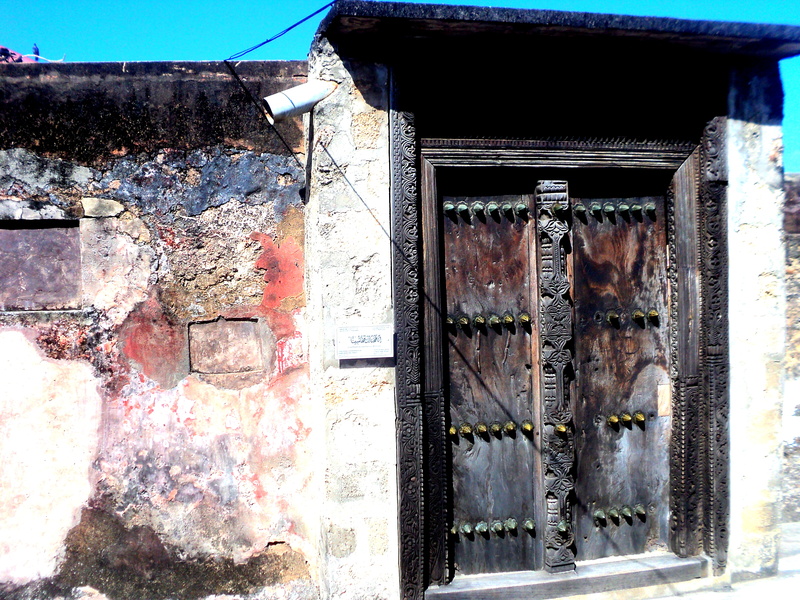 Over the weekend, we spontaneously decided to explore one of Mombasa’s oldest town and historical sites. 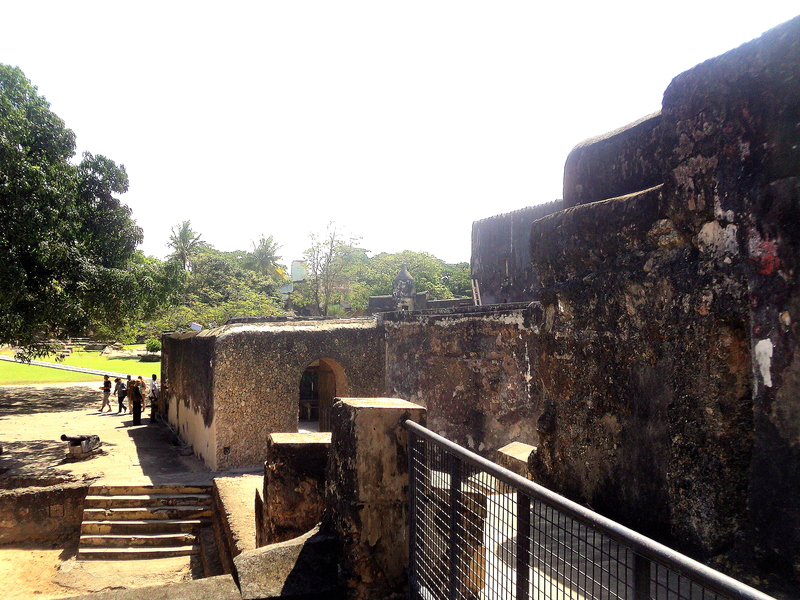 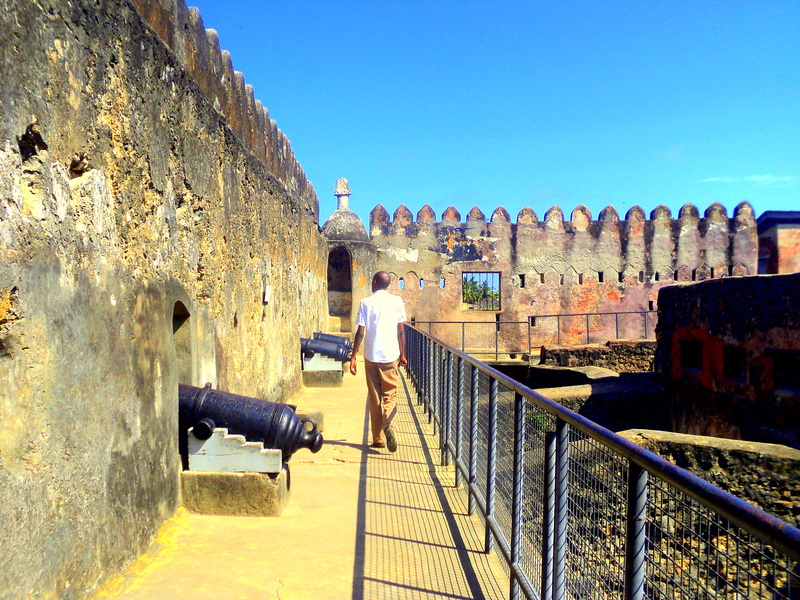 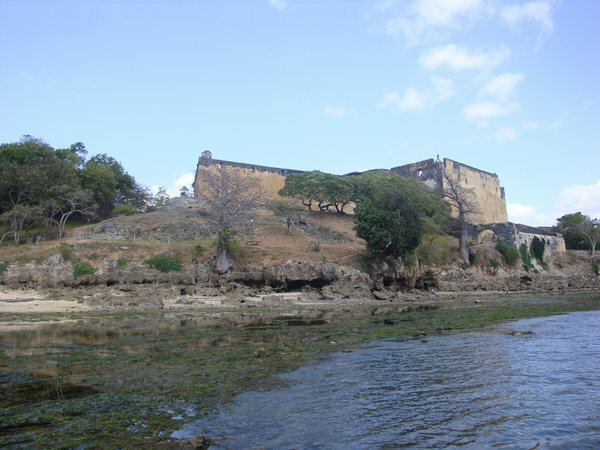 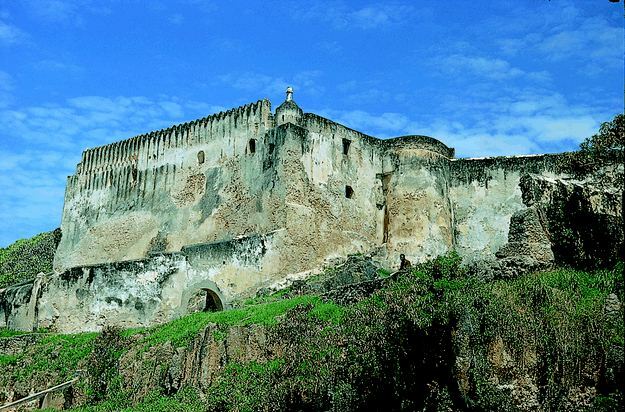 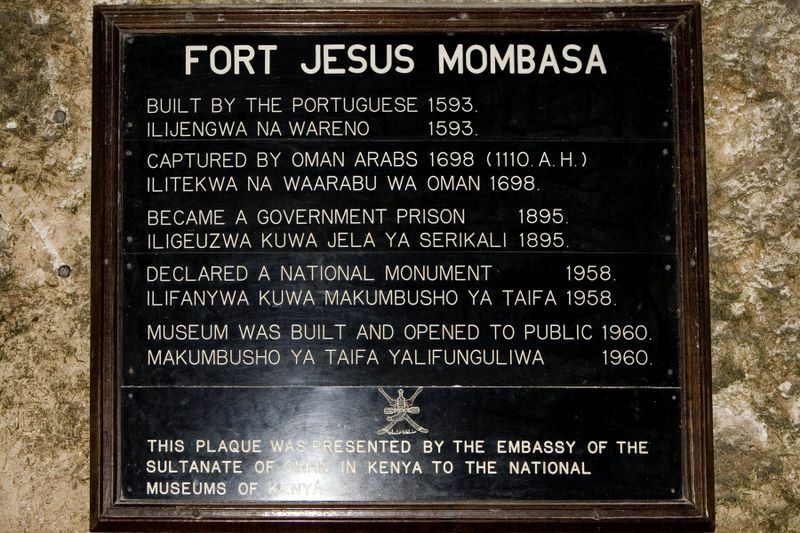 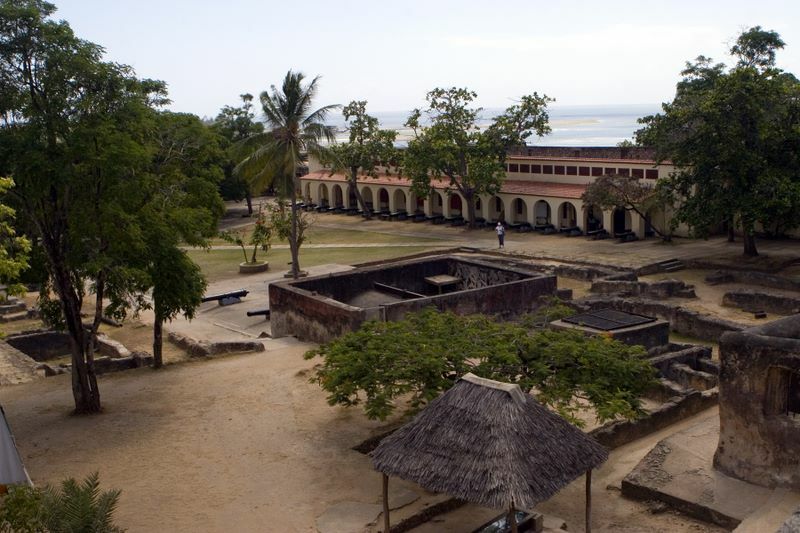 On Sunday we went to tour Mombasa’s most popular tourist attraction, Fort Jesus where we spent a better part of the afternoon learning about its history and significance from our tour guide, Ali Mohammed whom we met by the entrance. 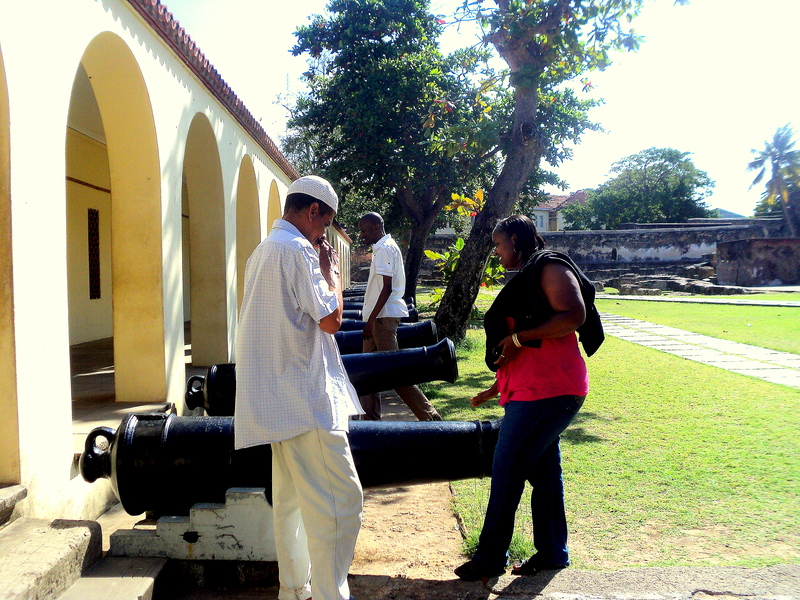 Our guide Ali explaining to us about the materials used to build the fort. 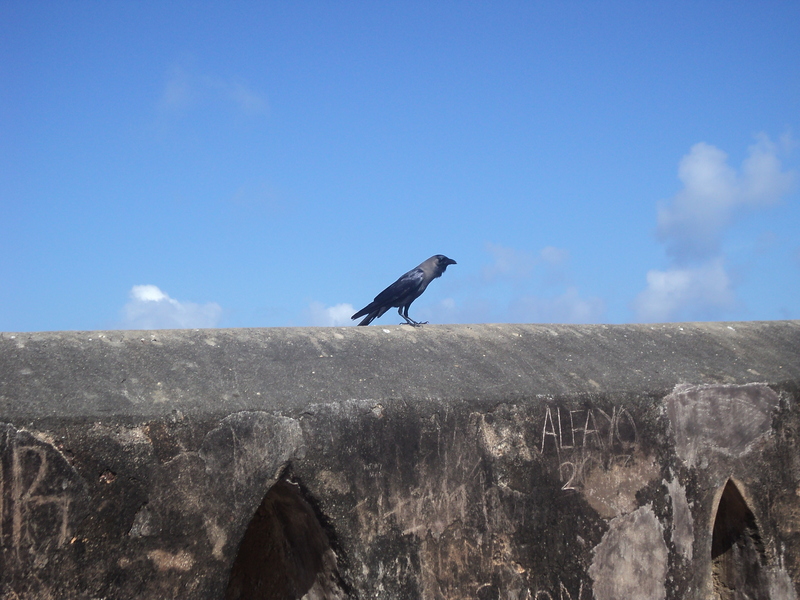 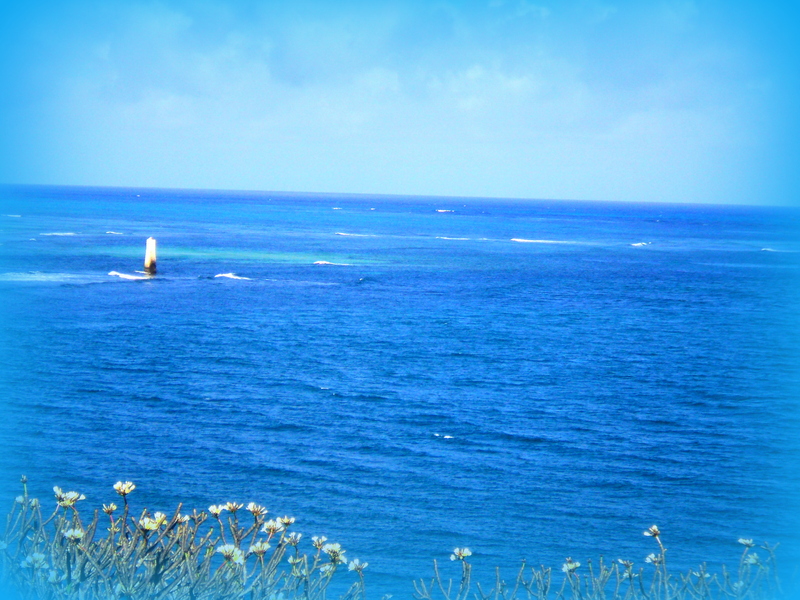 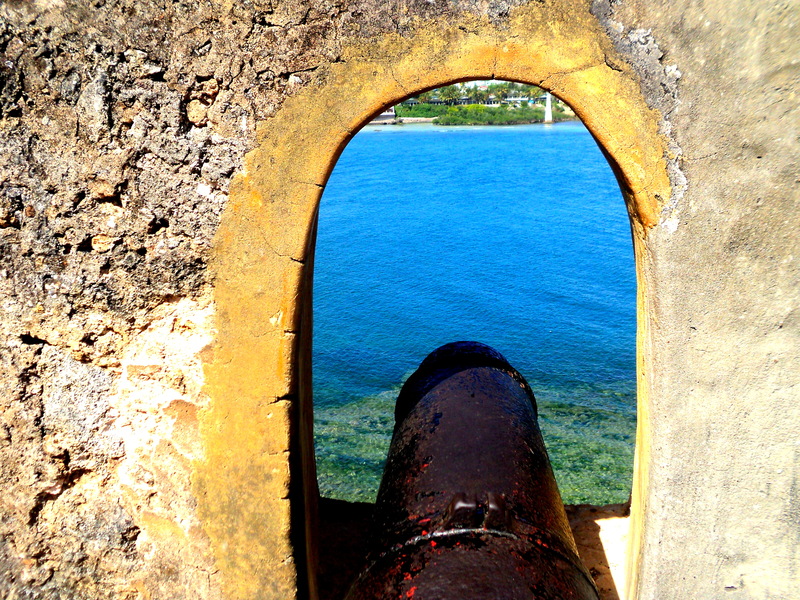 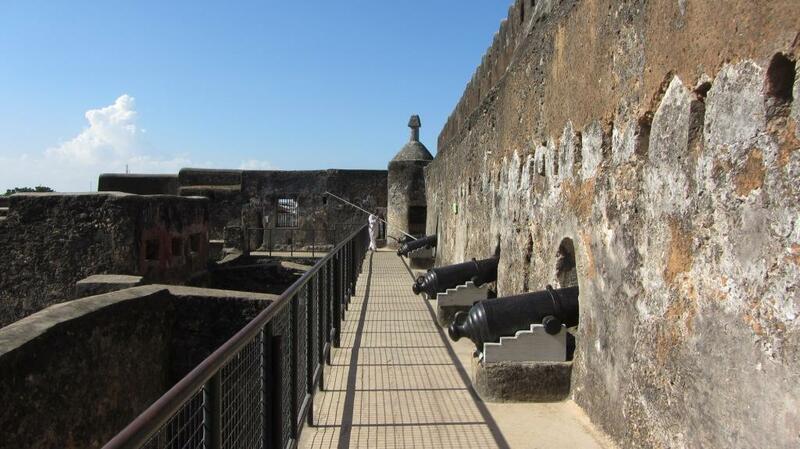 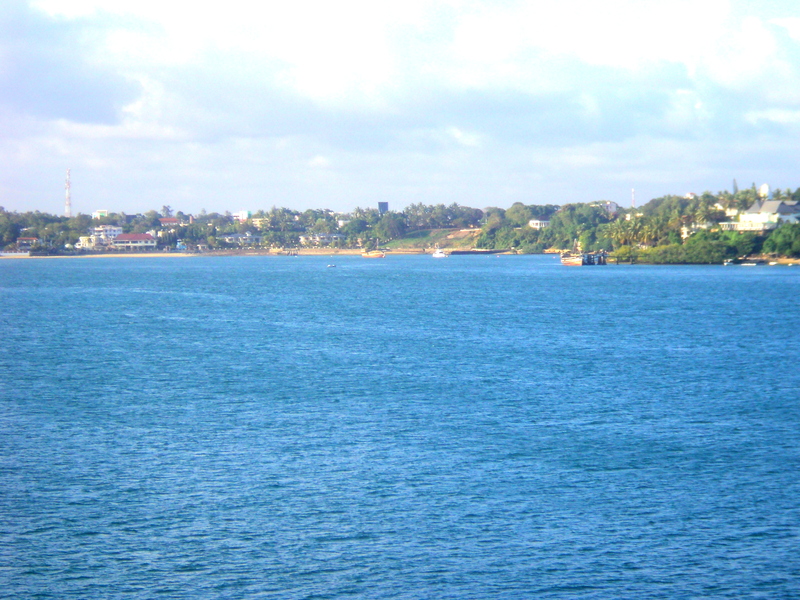 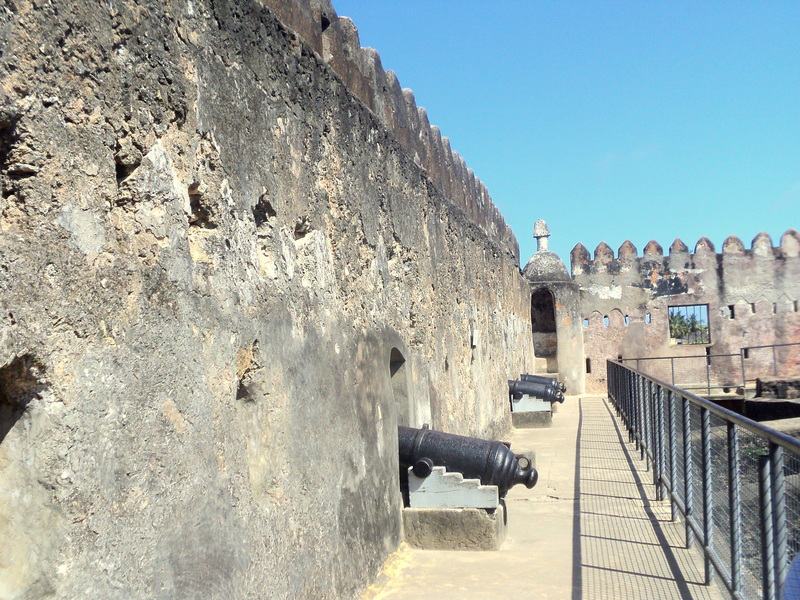 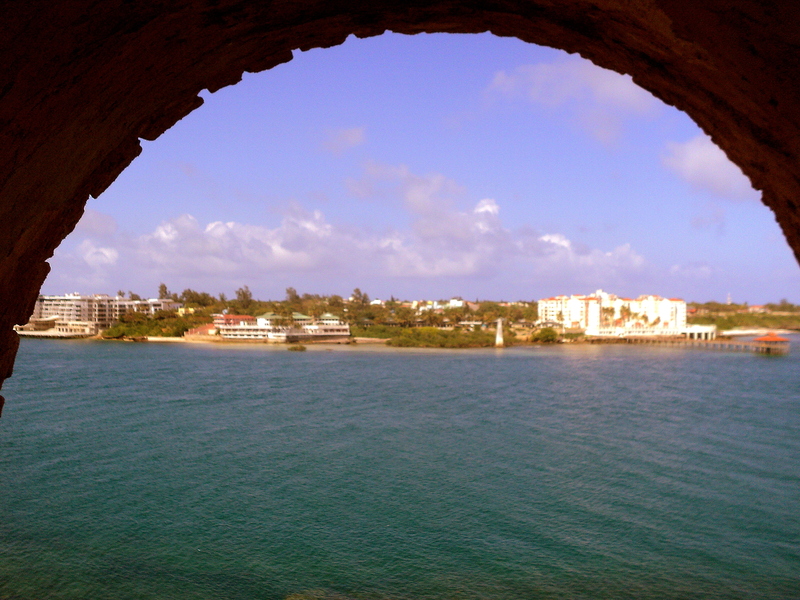 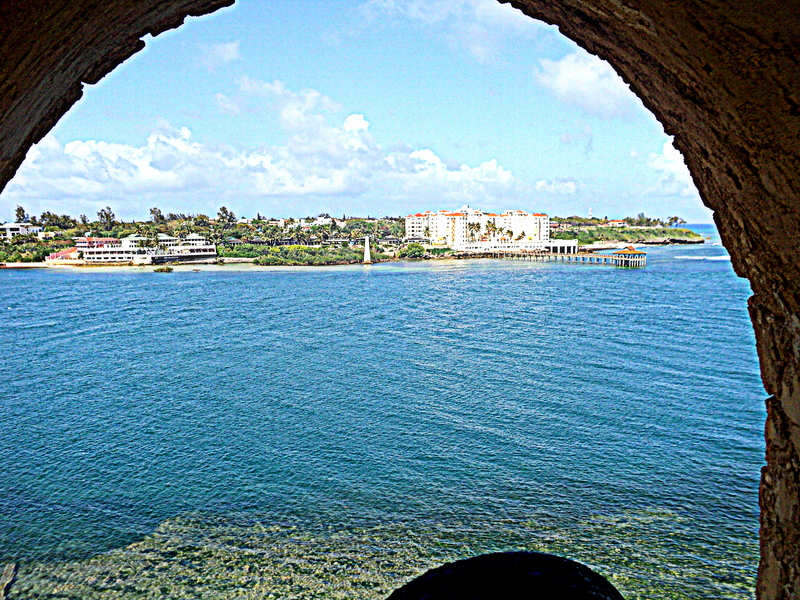 The view from the fort…beautiful! 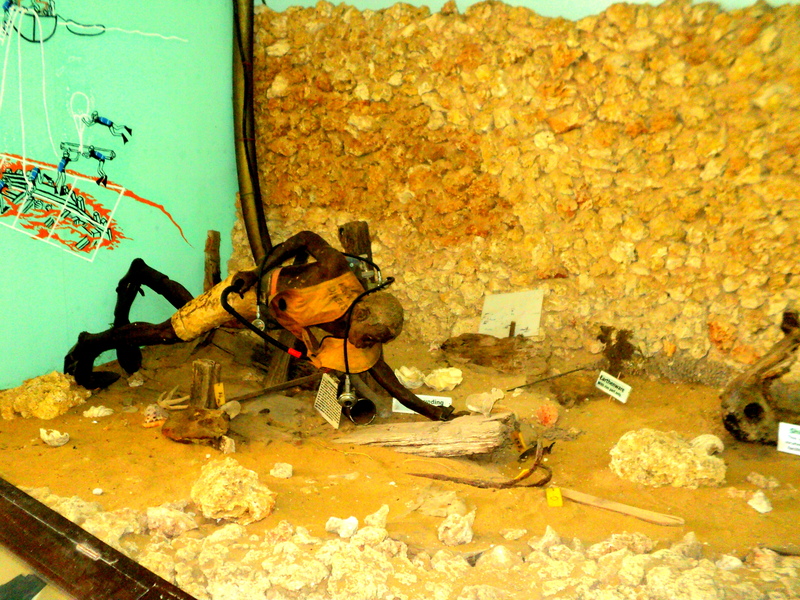 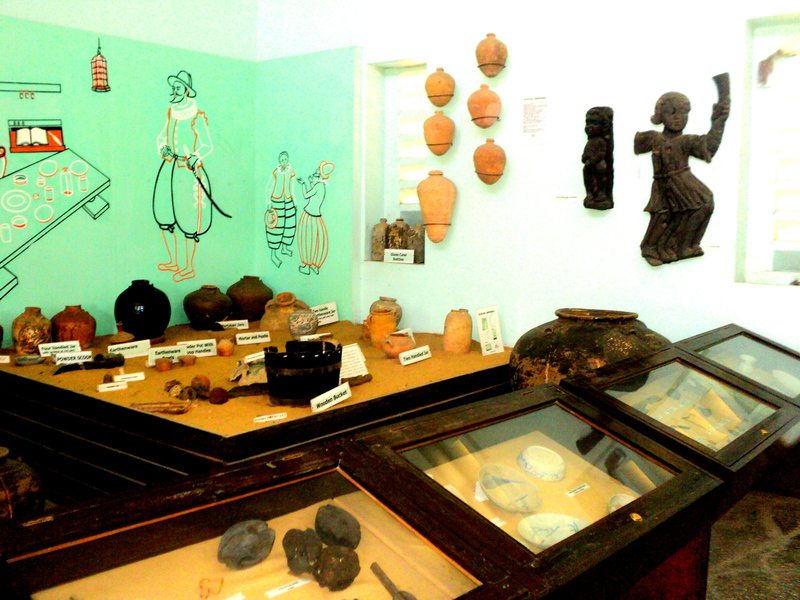 One of the curio shops within the fort. 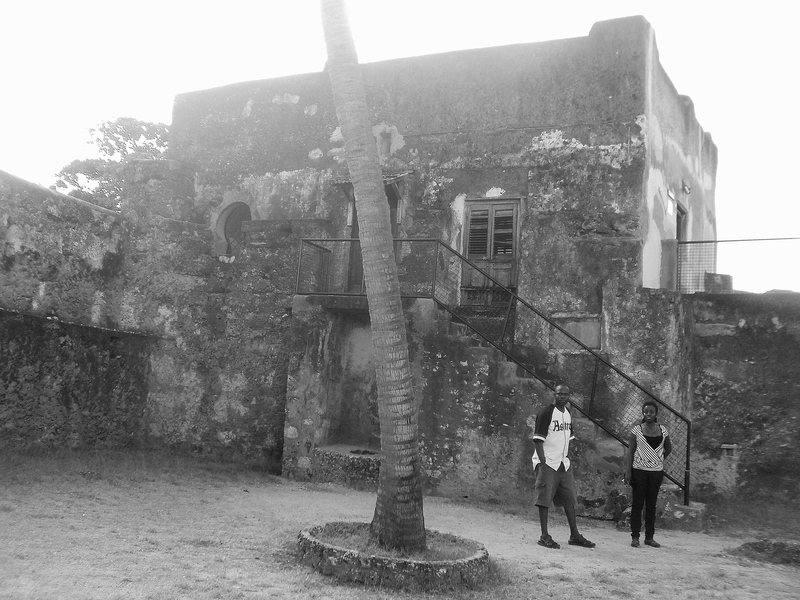 This was formally the kitchen area used by the portuguese and the setting remains the same to date aside from some minor renovations. 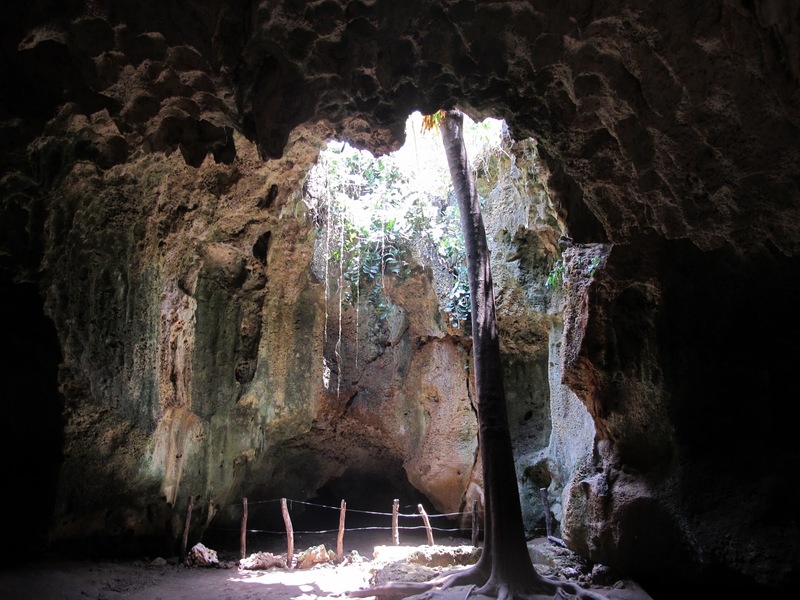 Carol stands beside the tree believed to be 2 million years old, how outstanding!! 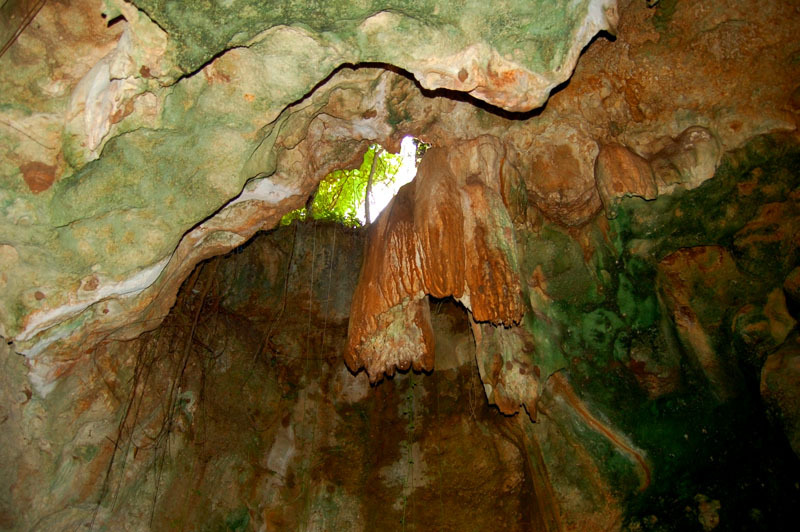 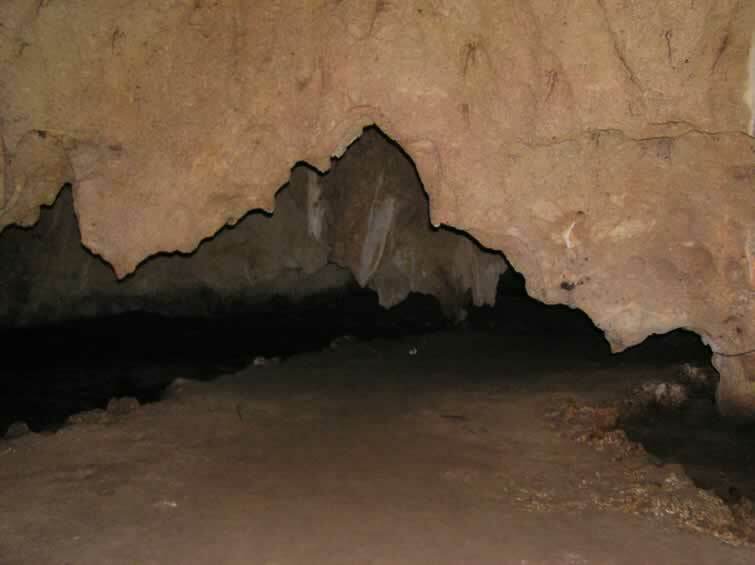 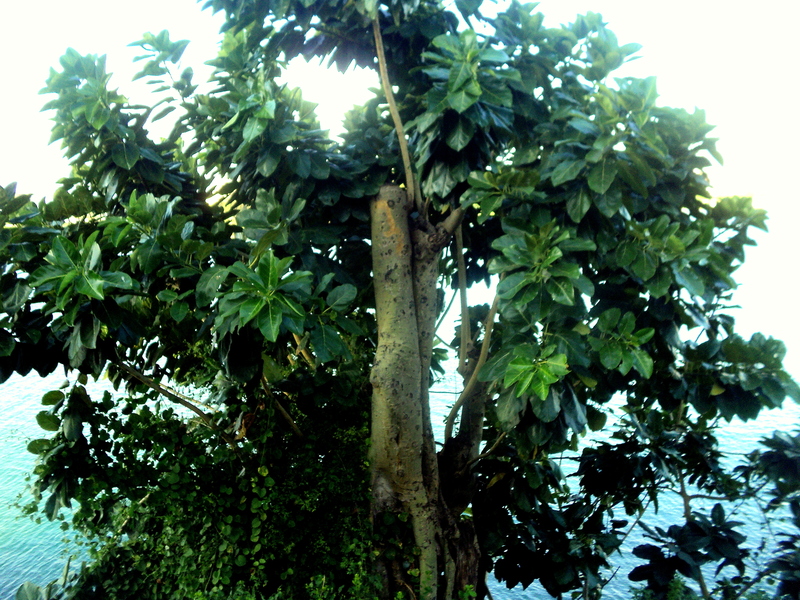 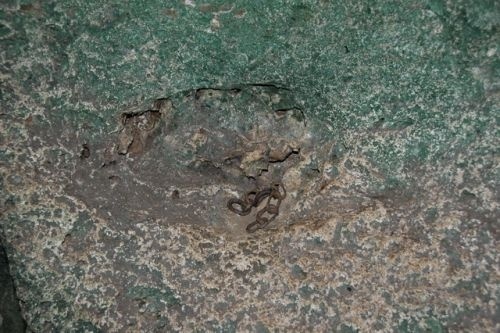 This tree owes its existence to the Jurassic period and what stands here is believed to have been the roots of the tree that are now visible due to subsistence. 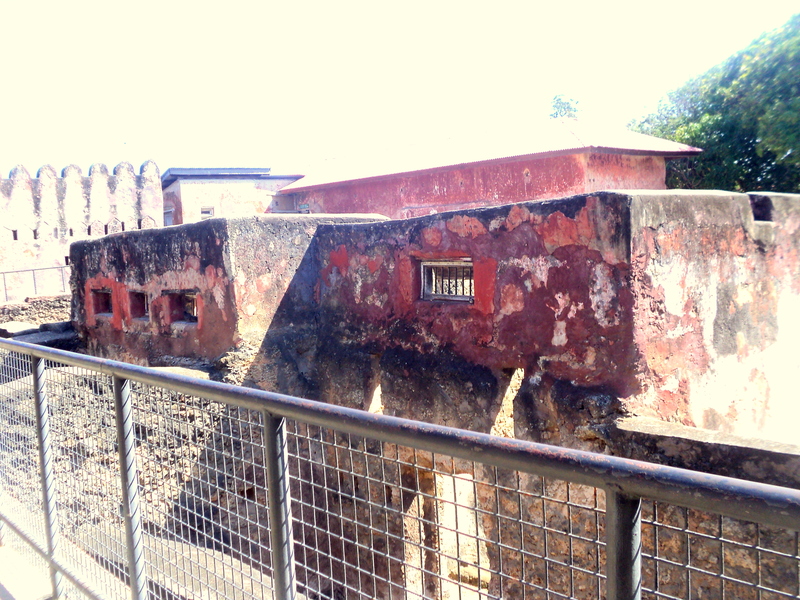 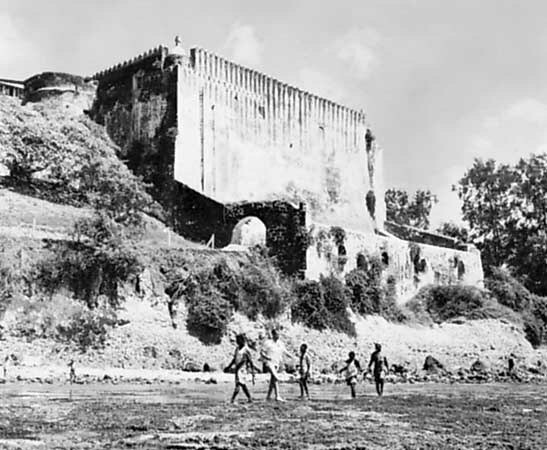 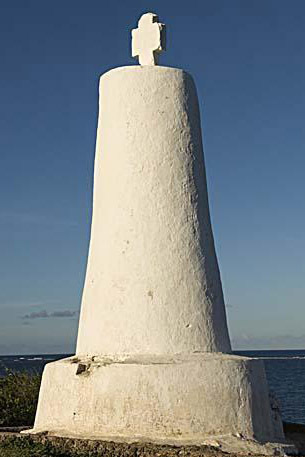 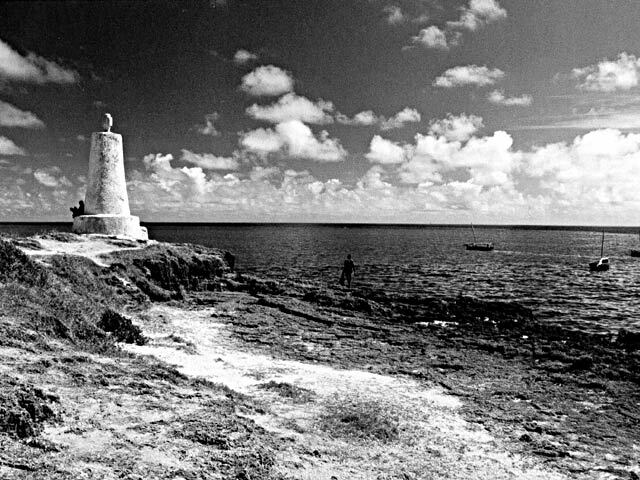 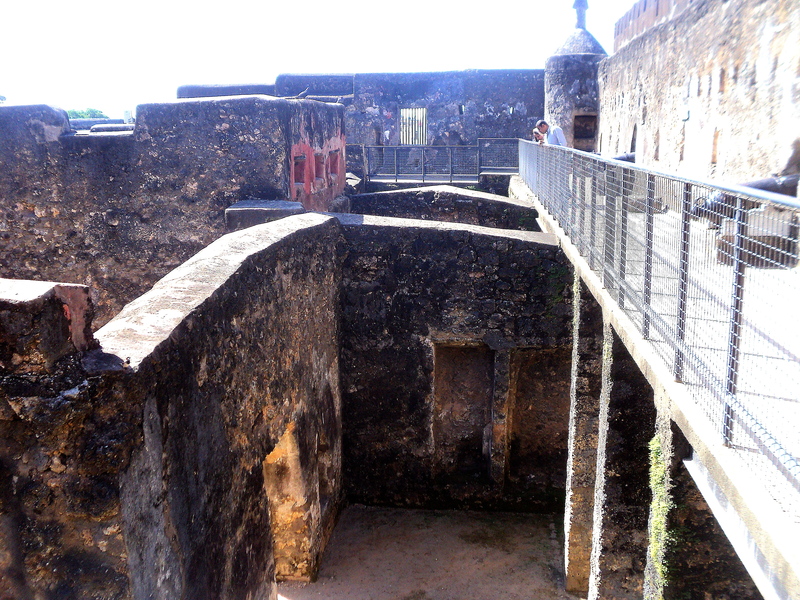 The fort was built around it. 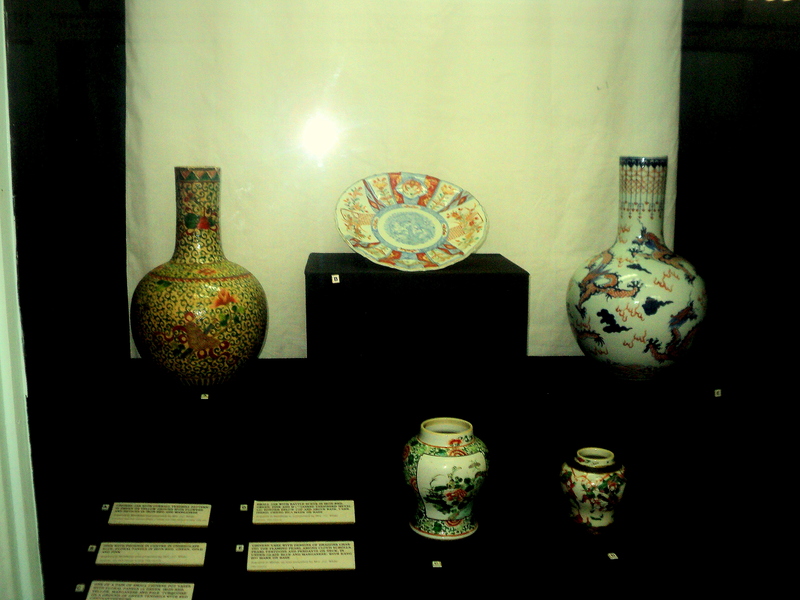 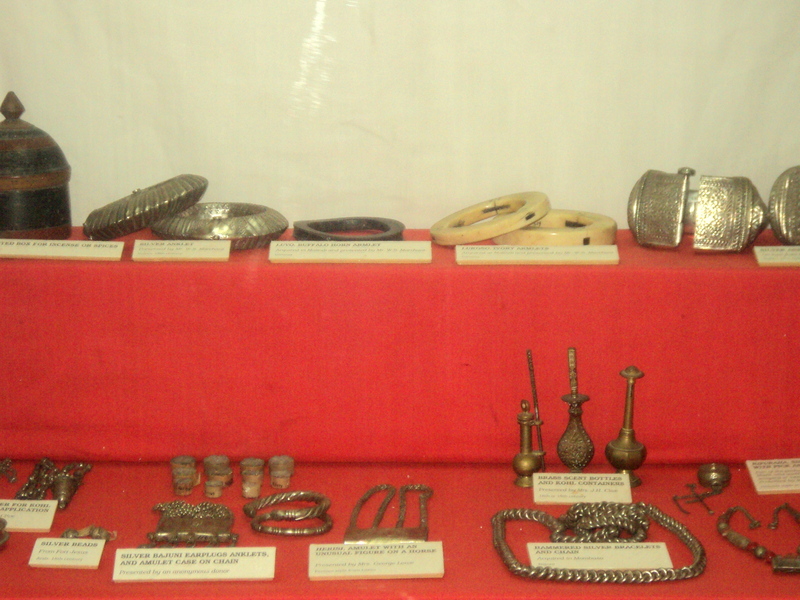 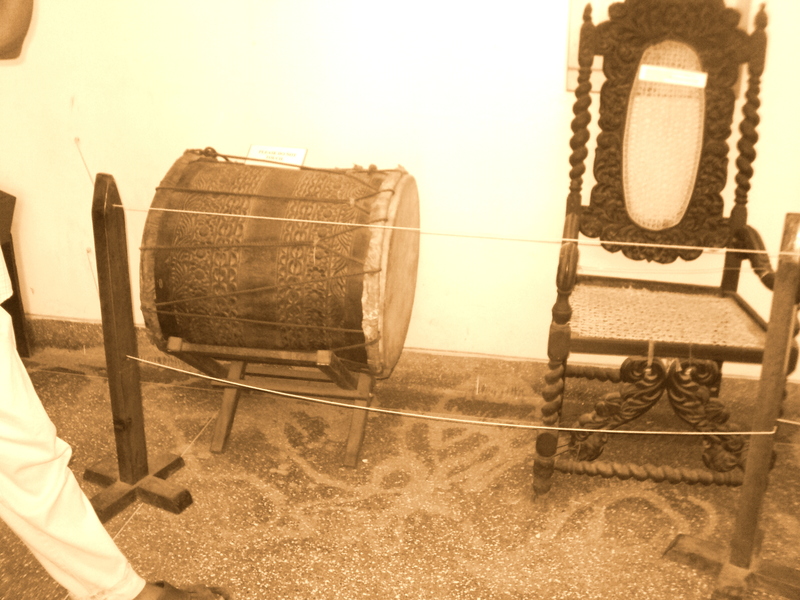 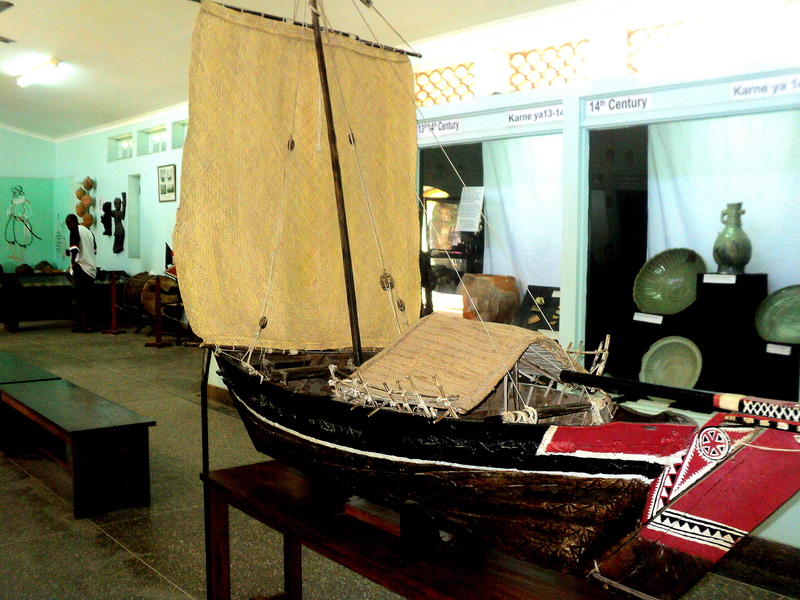 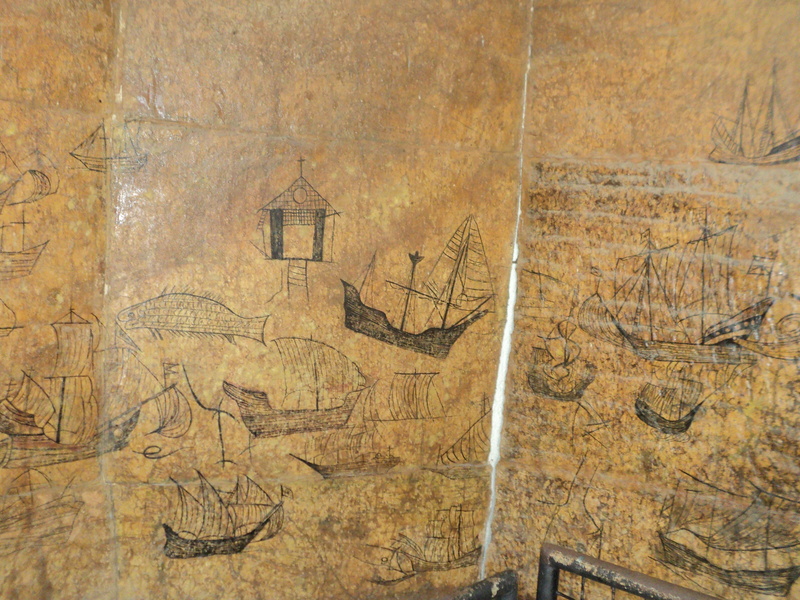 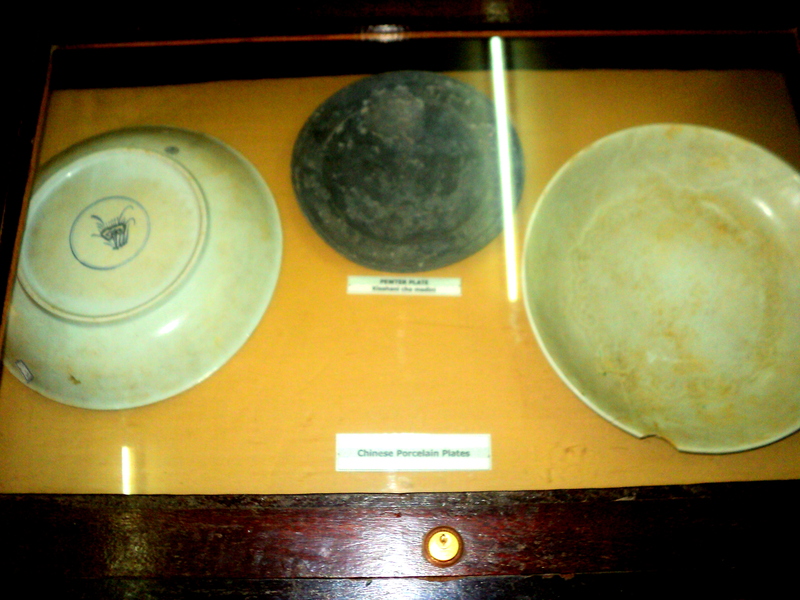 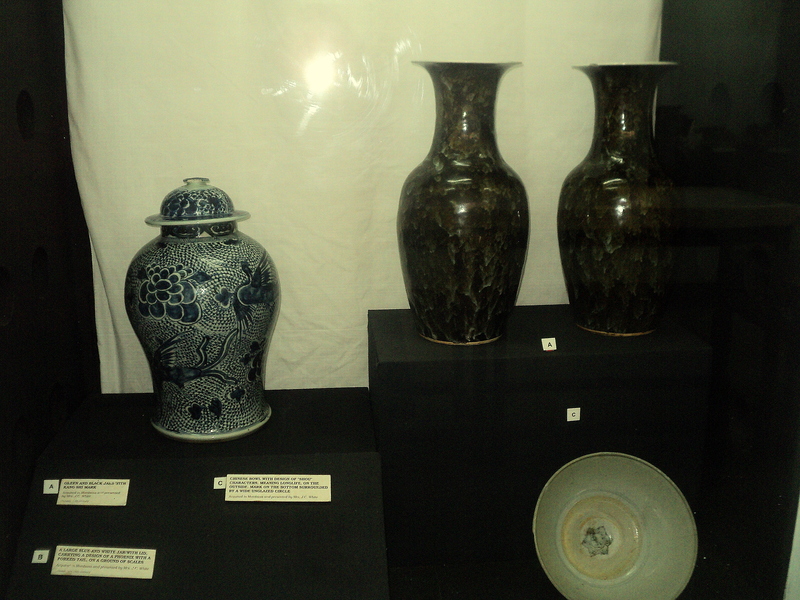 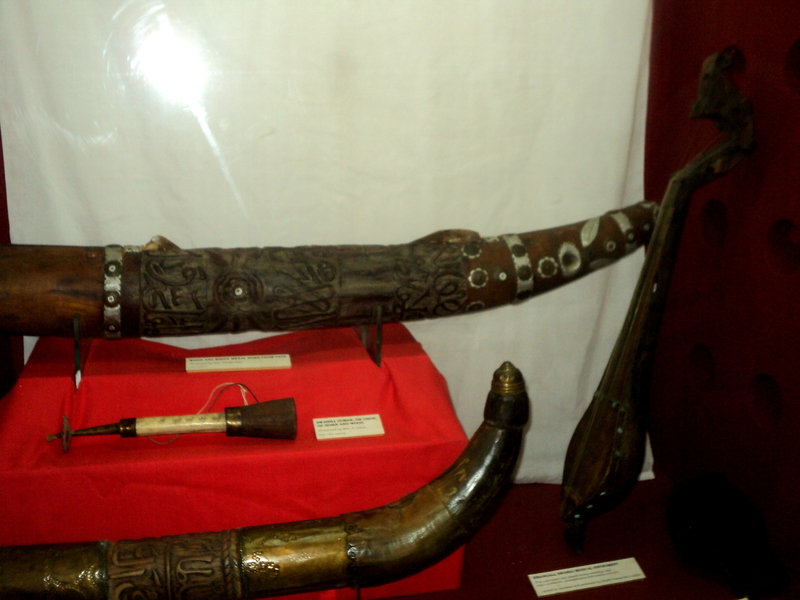 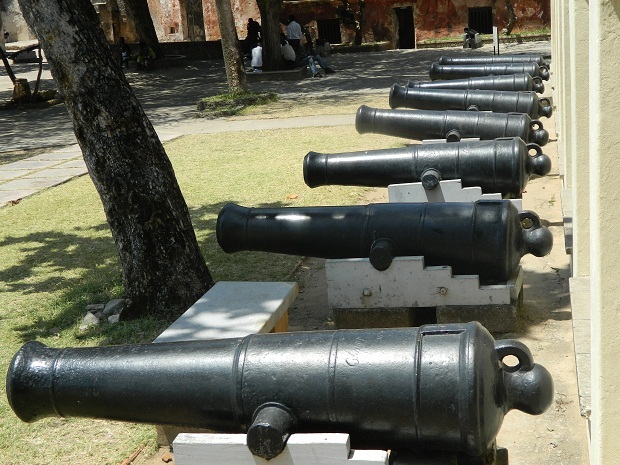 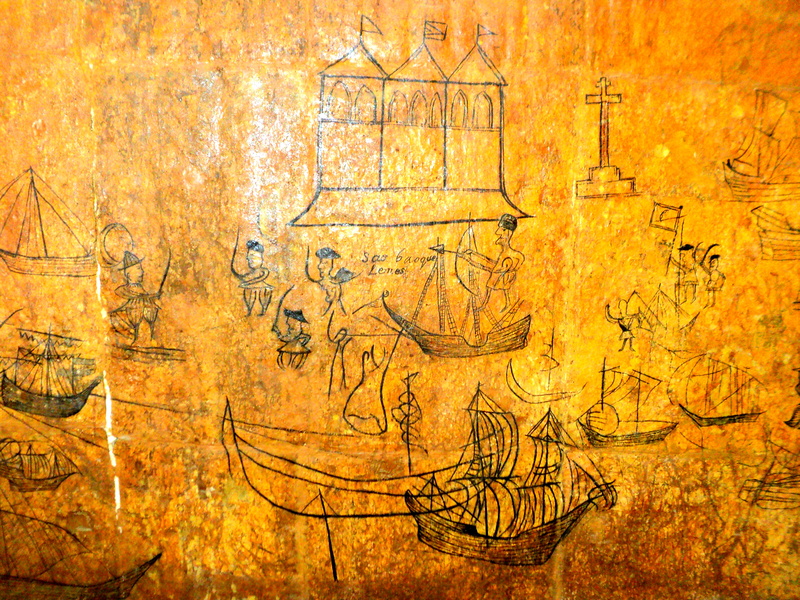 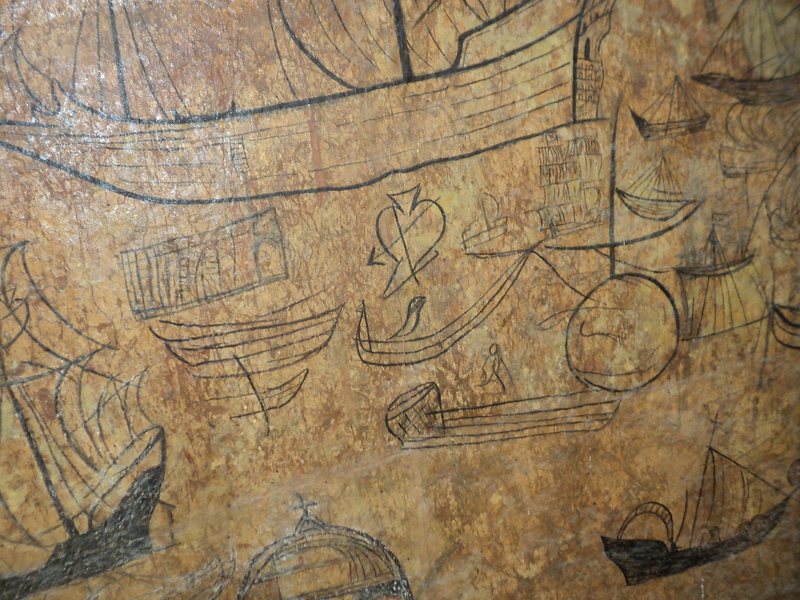 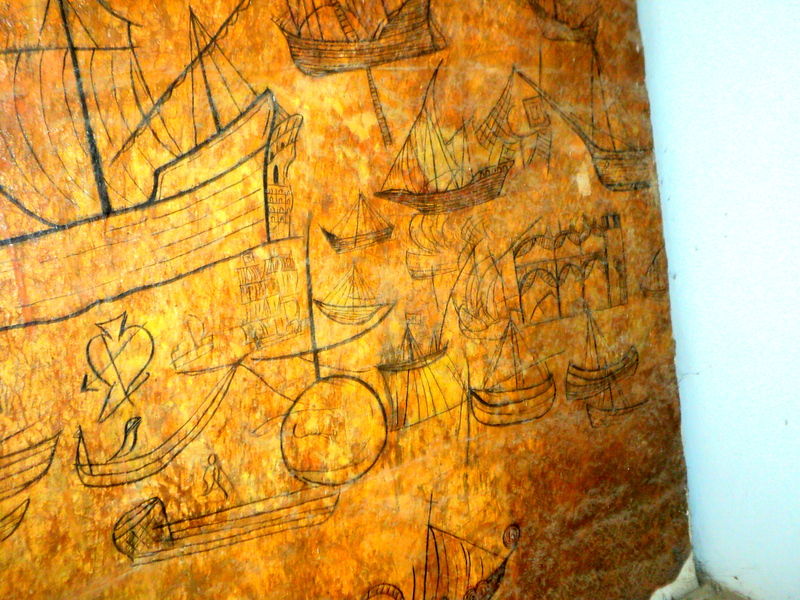 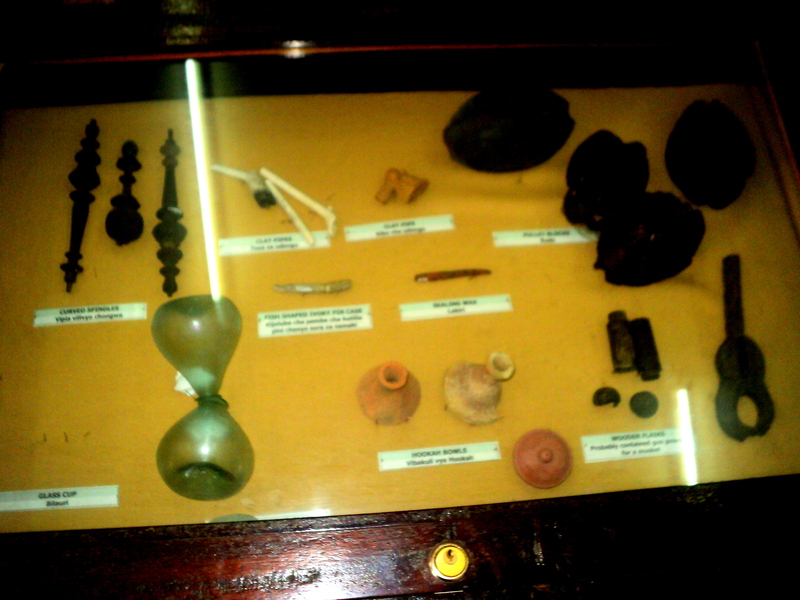 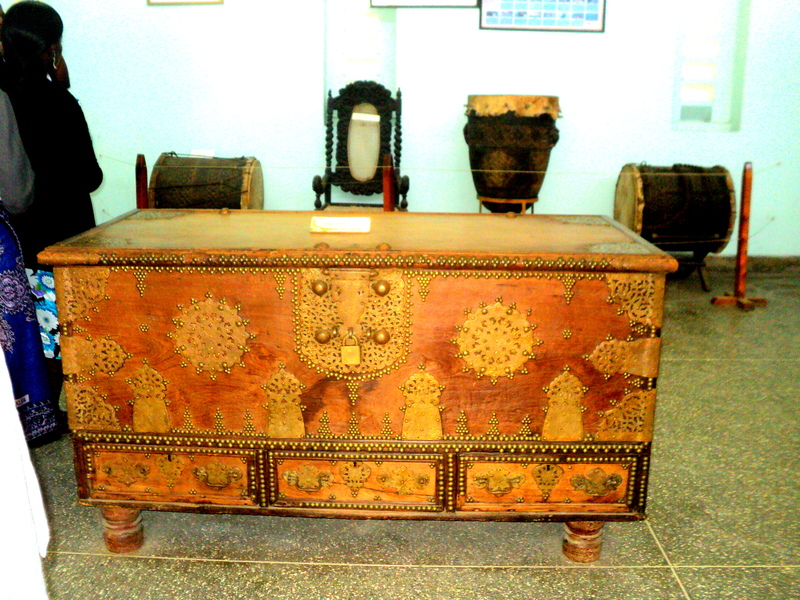 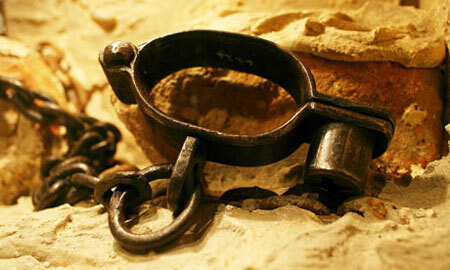 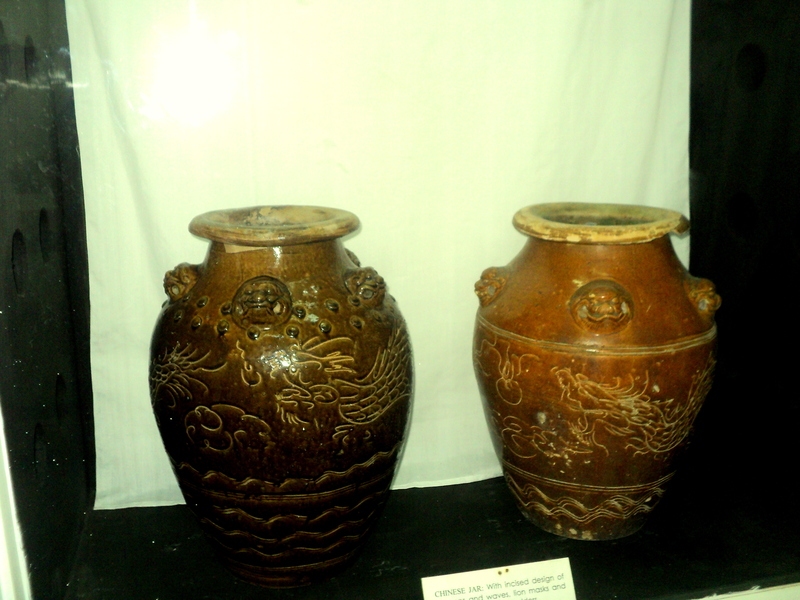 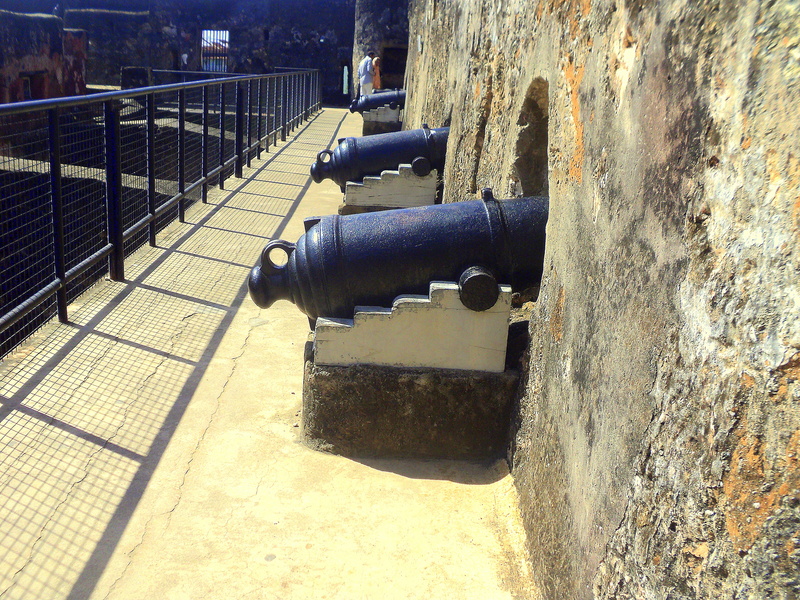 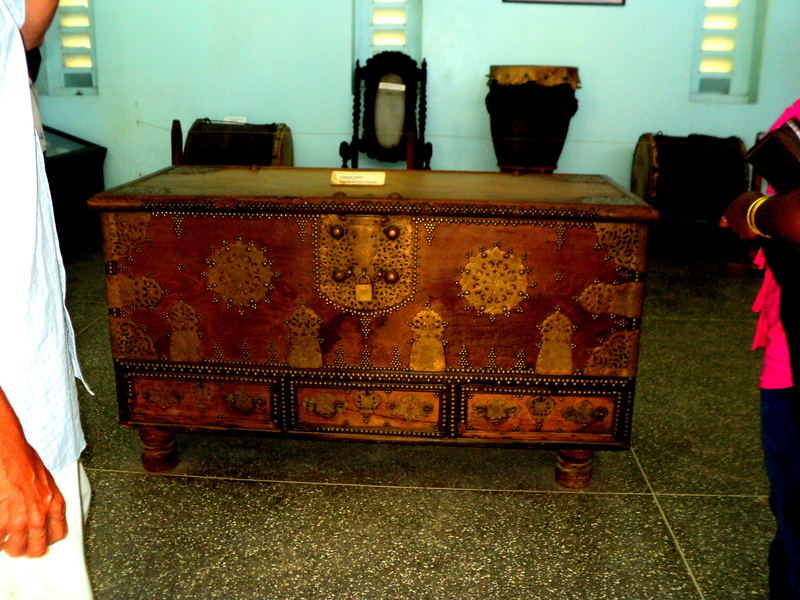 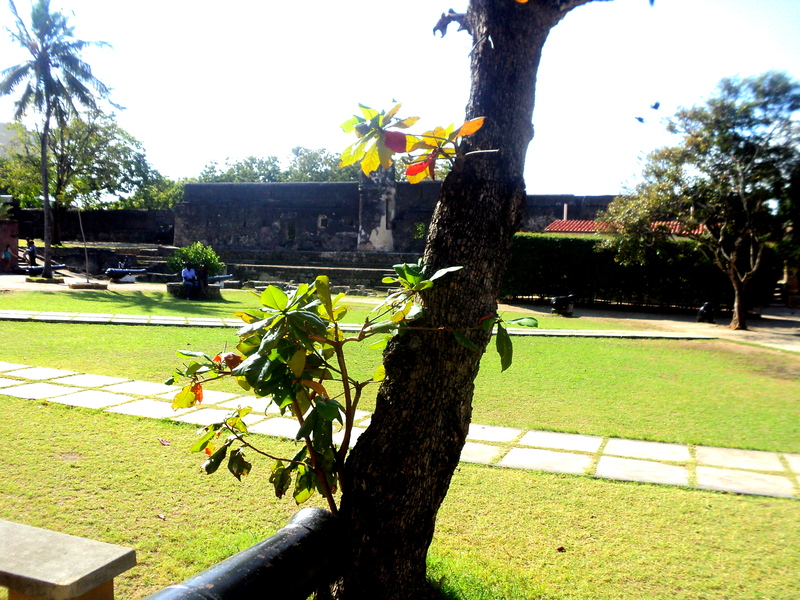 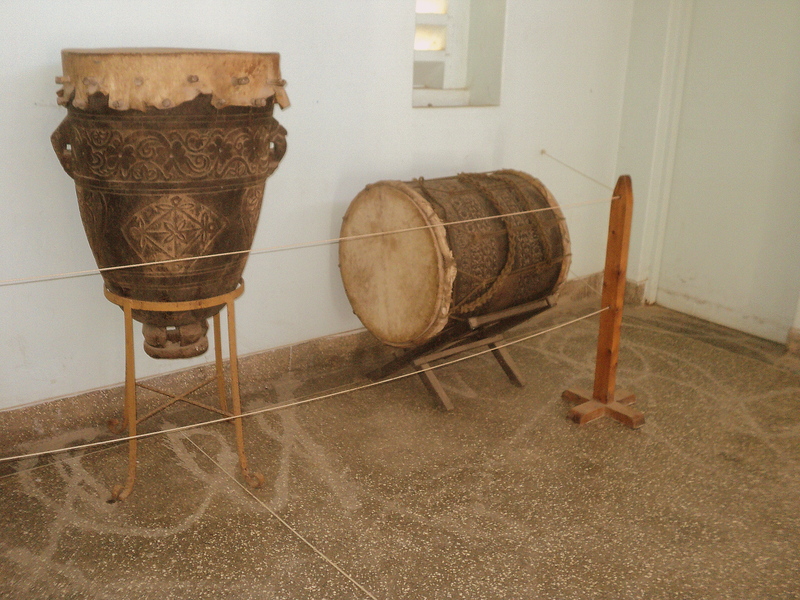 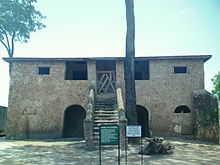 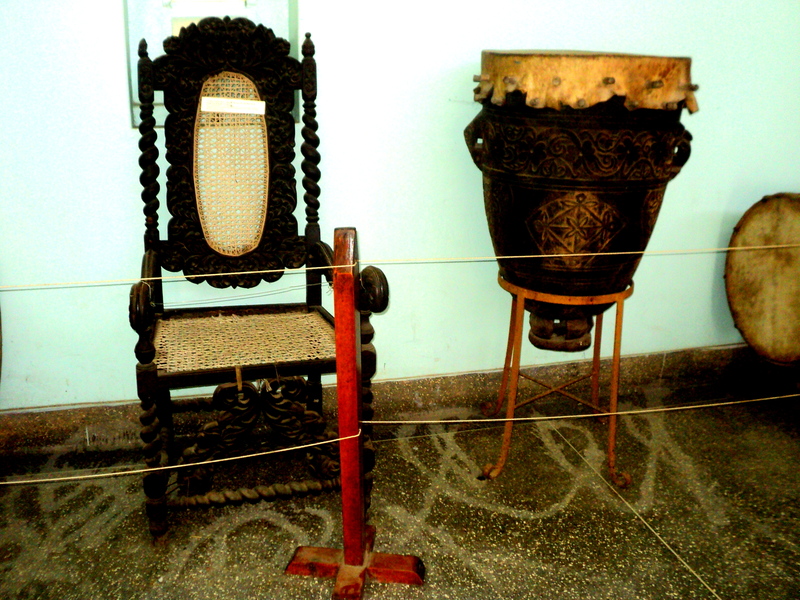 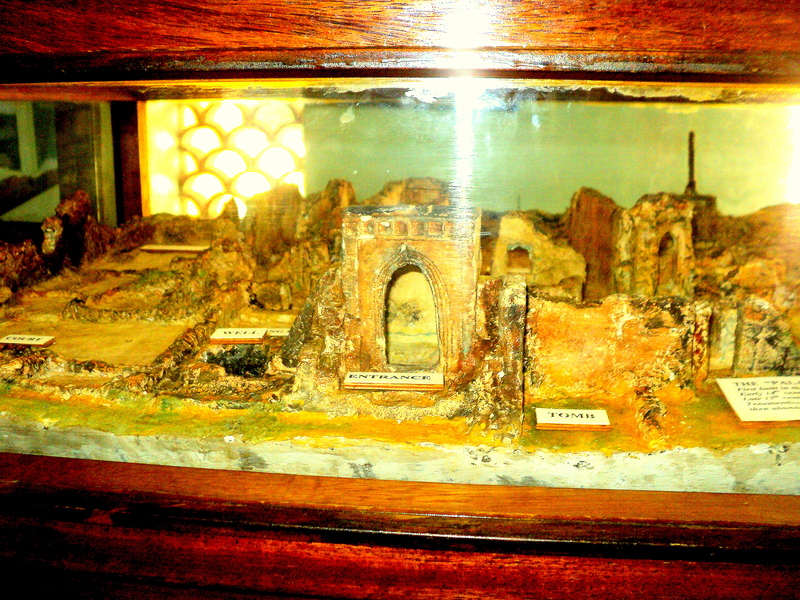 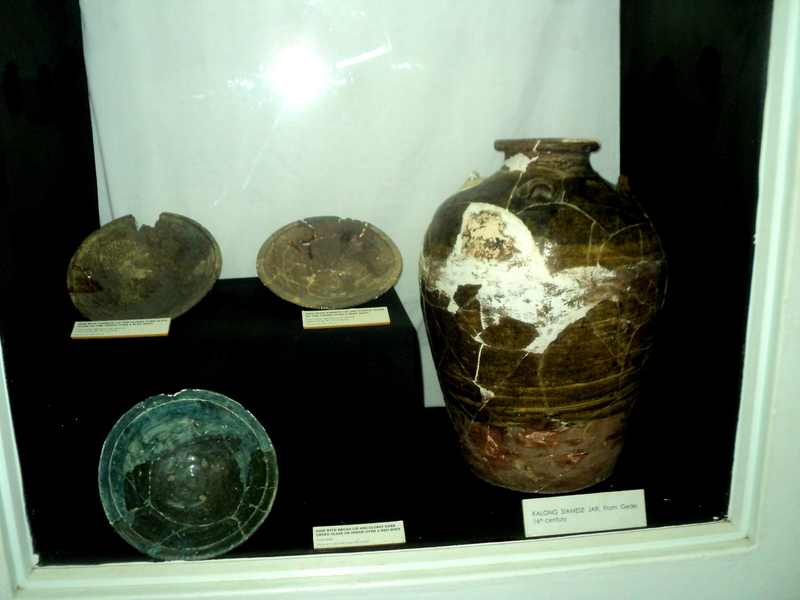 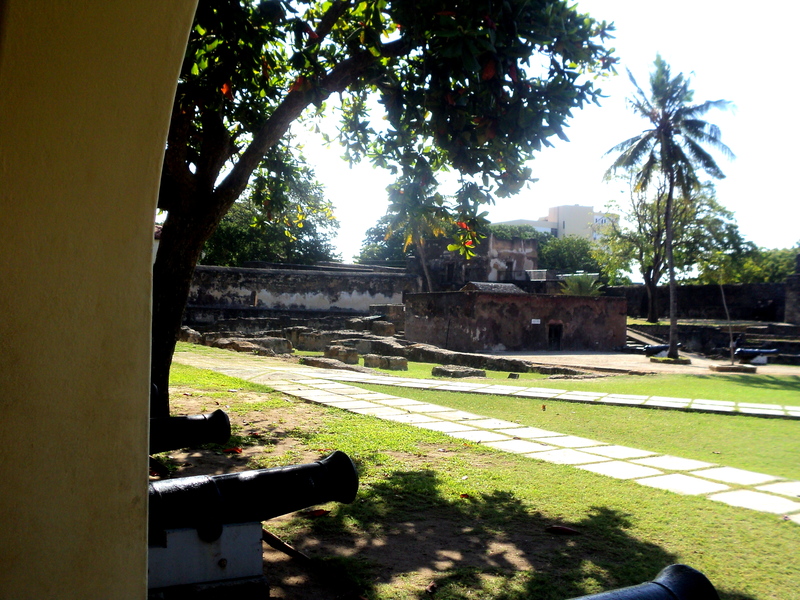 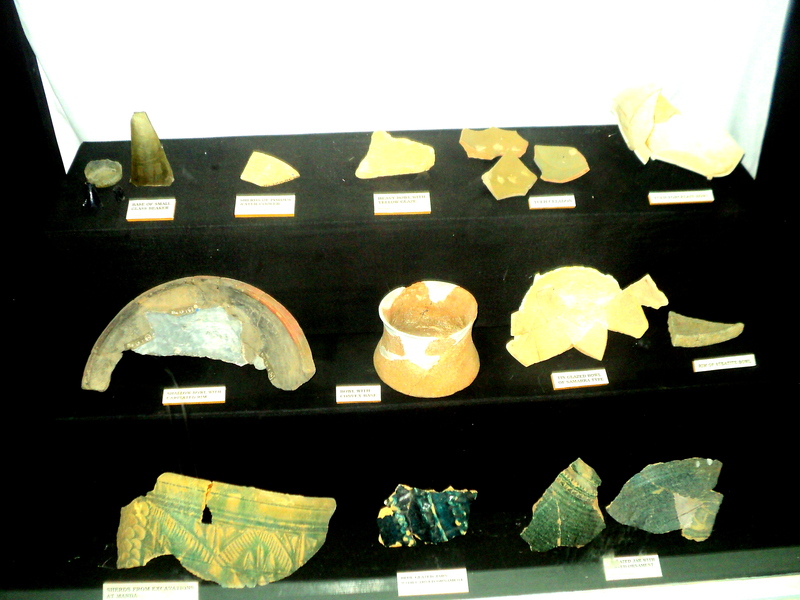 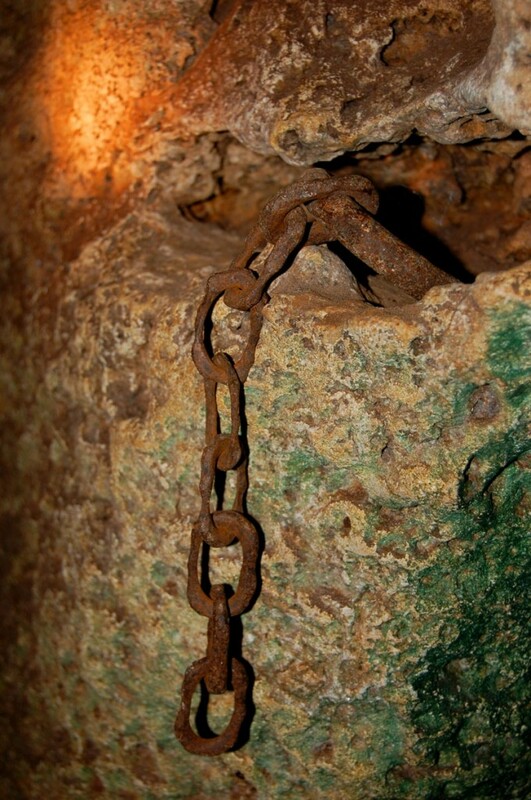 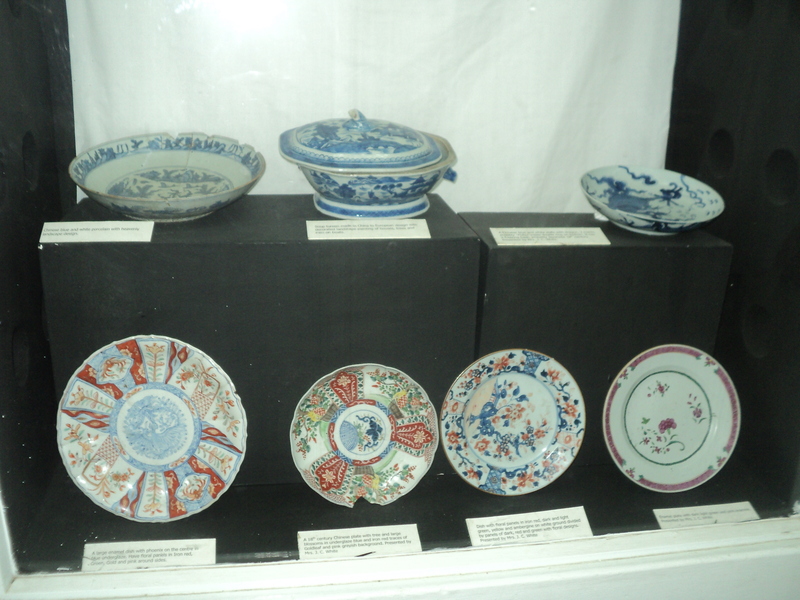 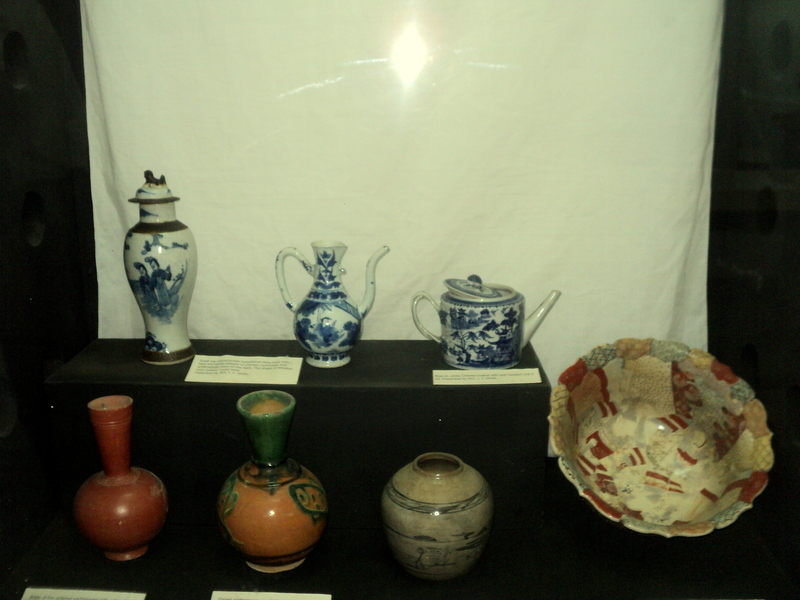 Ancient Portuguese art on display at the fort. 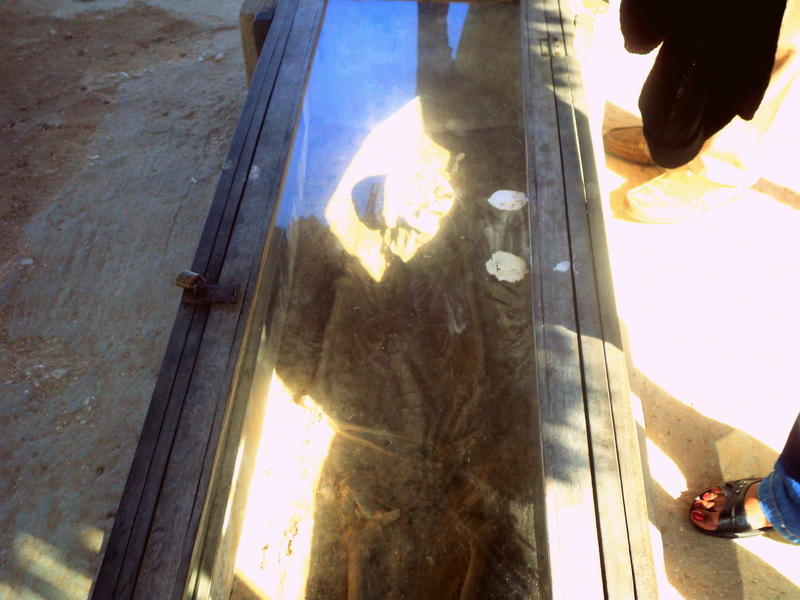 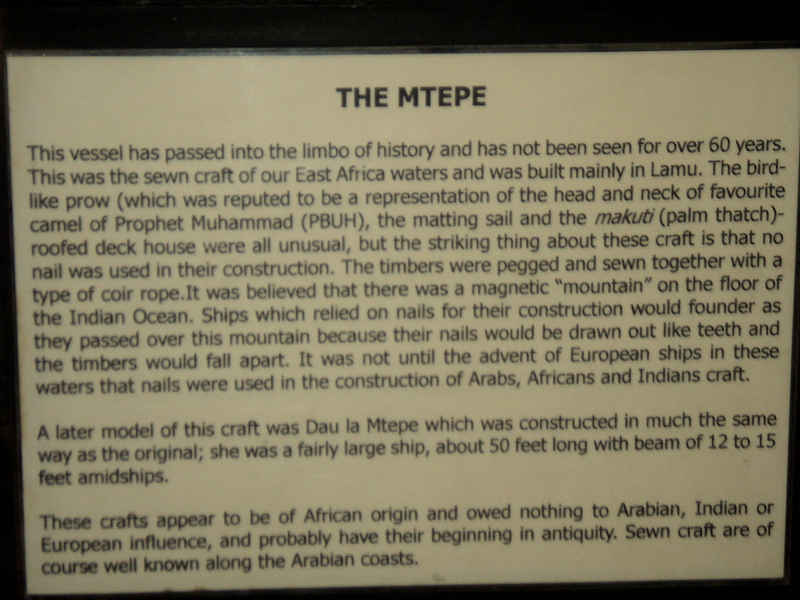 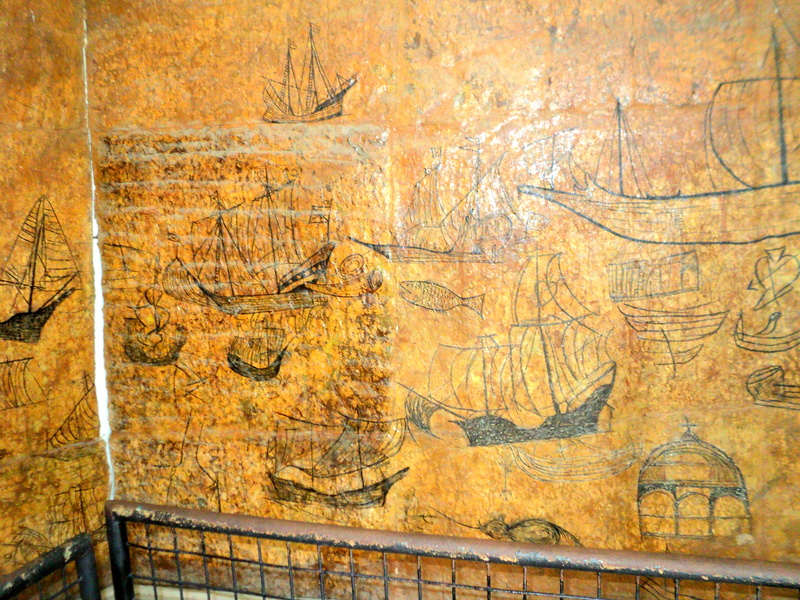 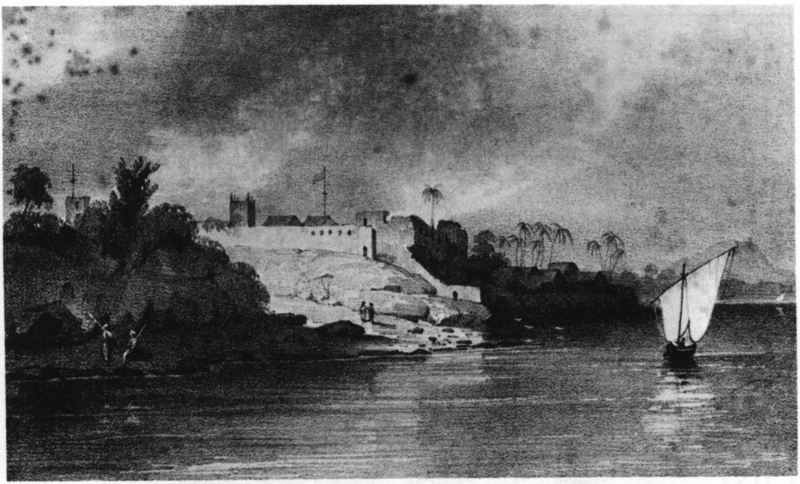 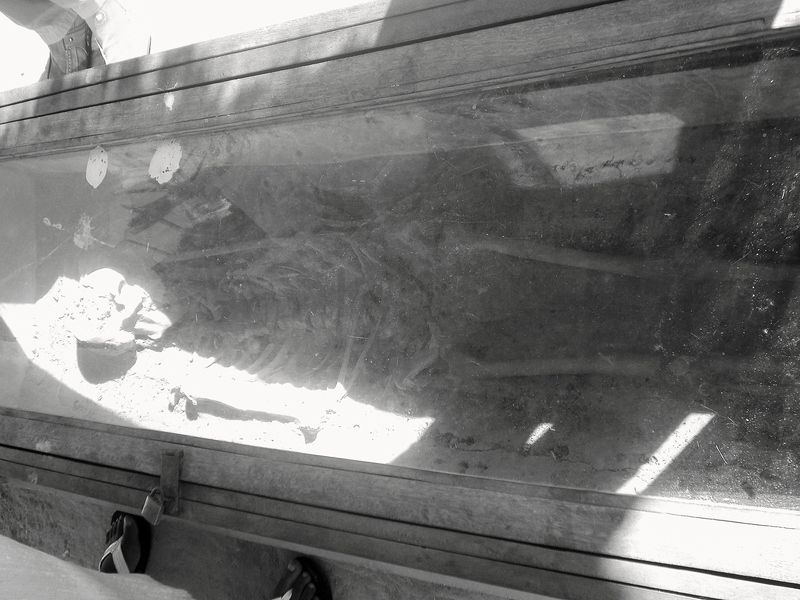 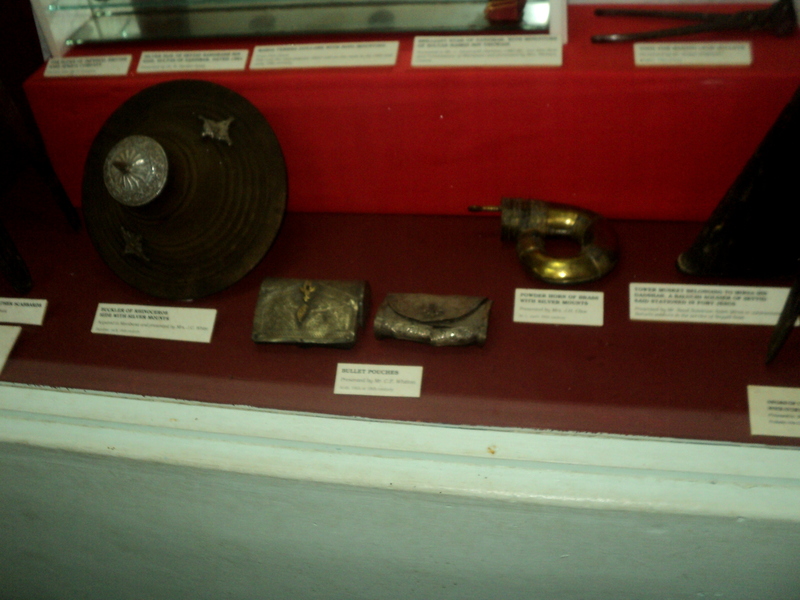 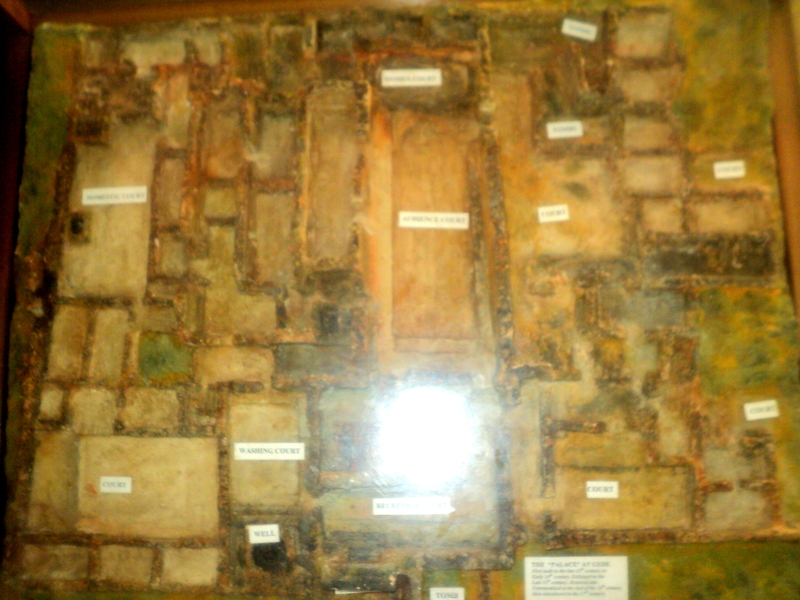 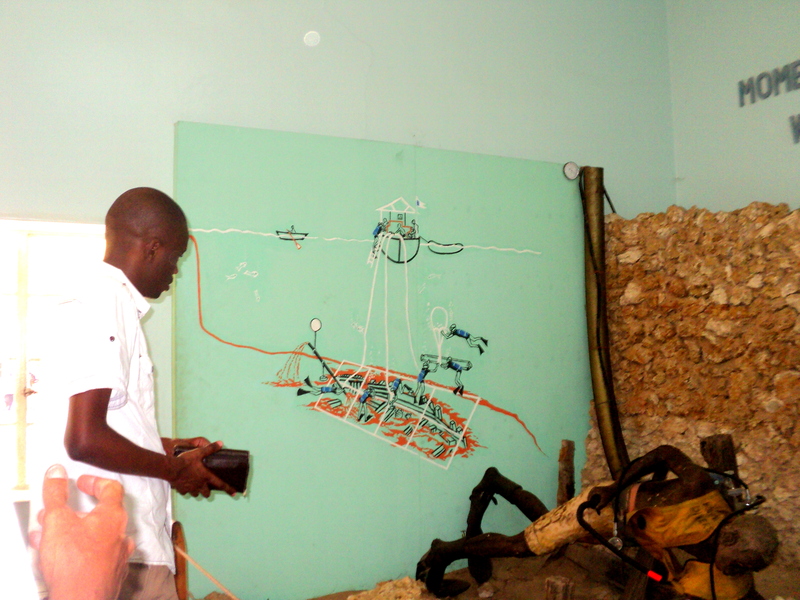 The art was excavated from the fort’s grounds and due to aging the museum had to trace the drawings using graphite. 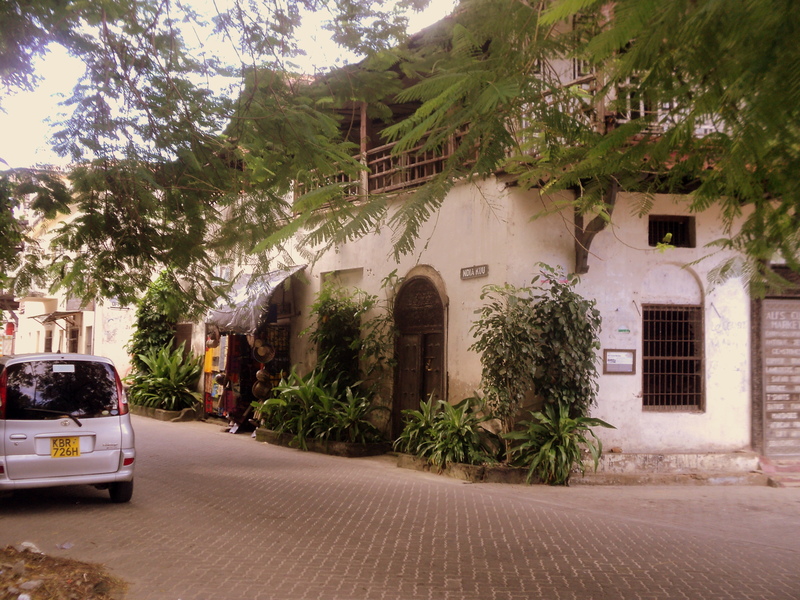 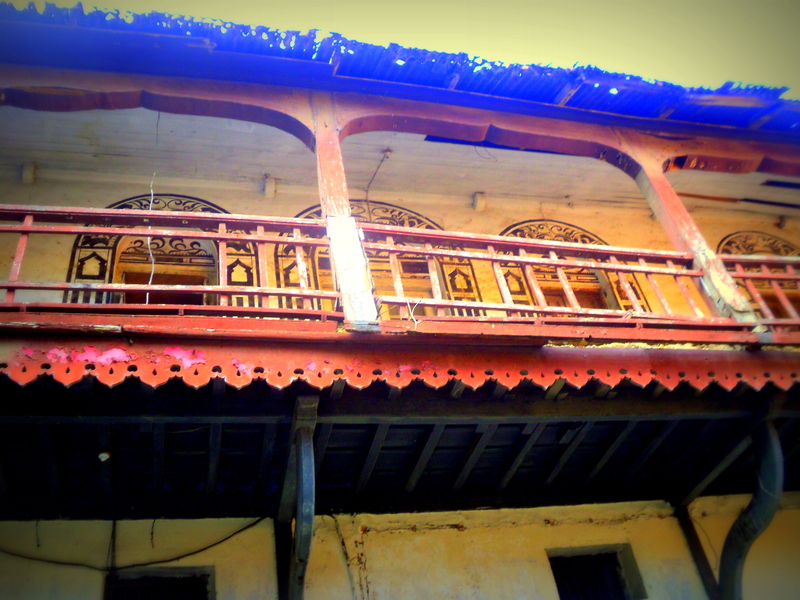 After a few educative hours at the fort we headed on to the streets of Old town where we were awed by the architectural influence of the Portuguese and the Arabs on the buildings. 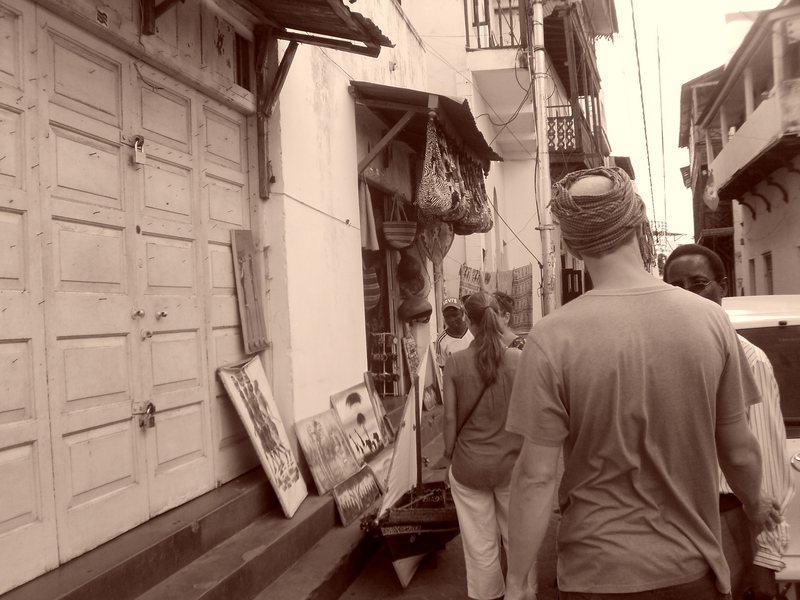 The streets of Old town are always so alive with bright colours of the traditional coastal khanga and kikoy, the all purpose wrap around cloth worn by both men and women. 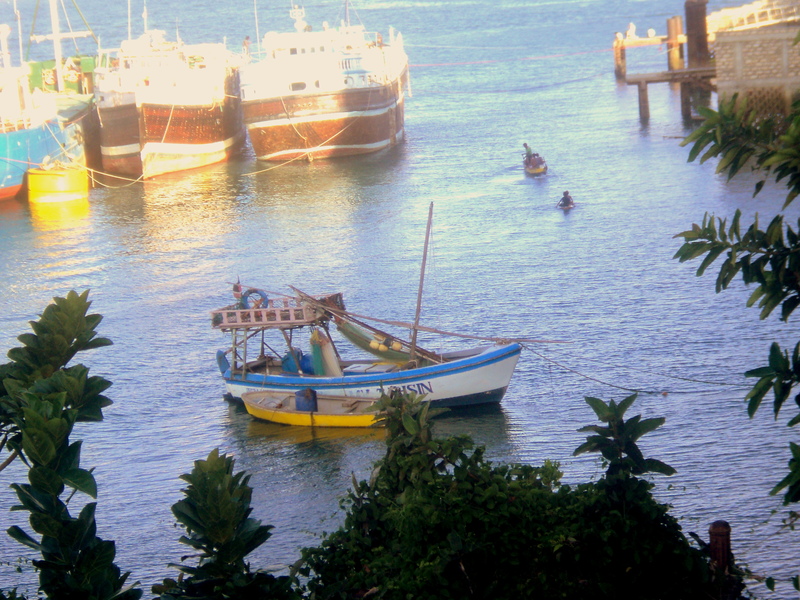 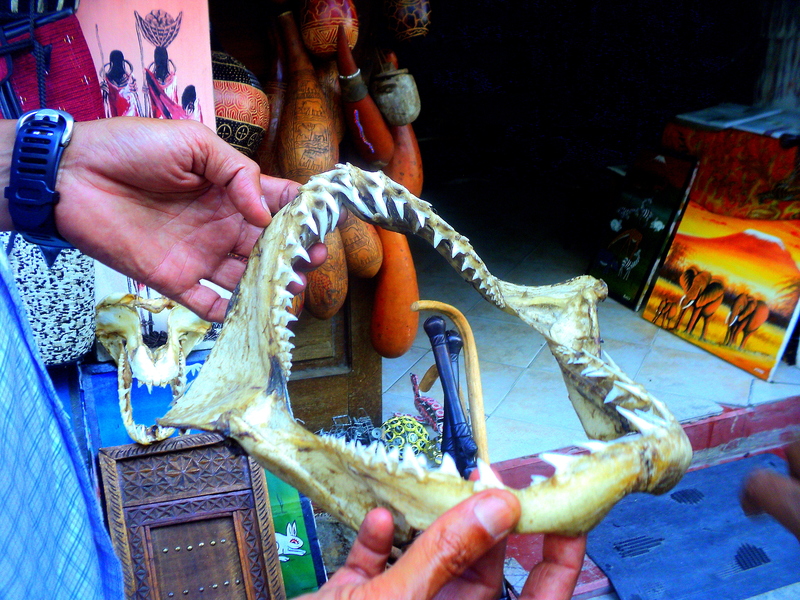 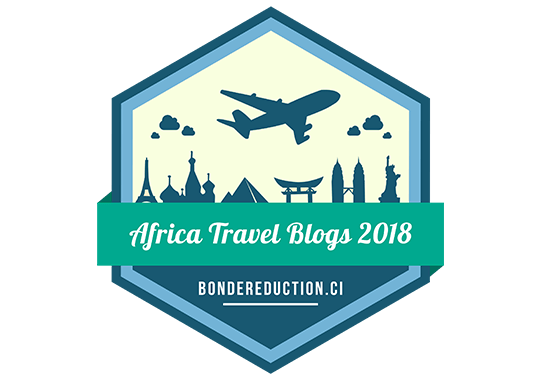 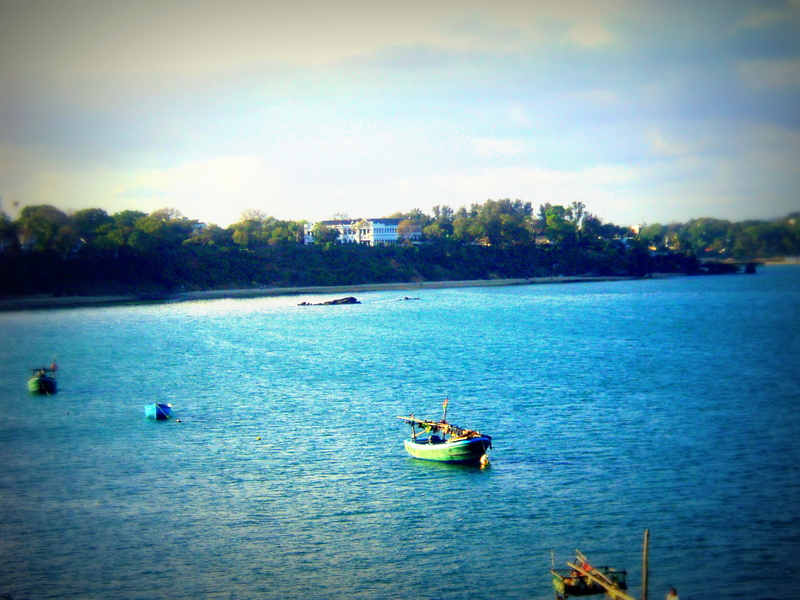 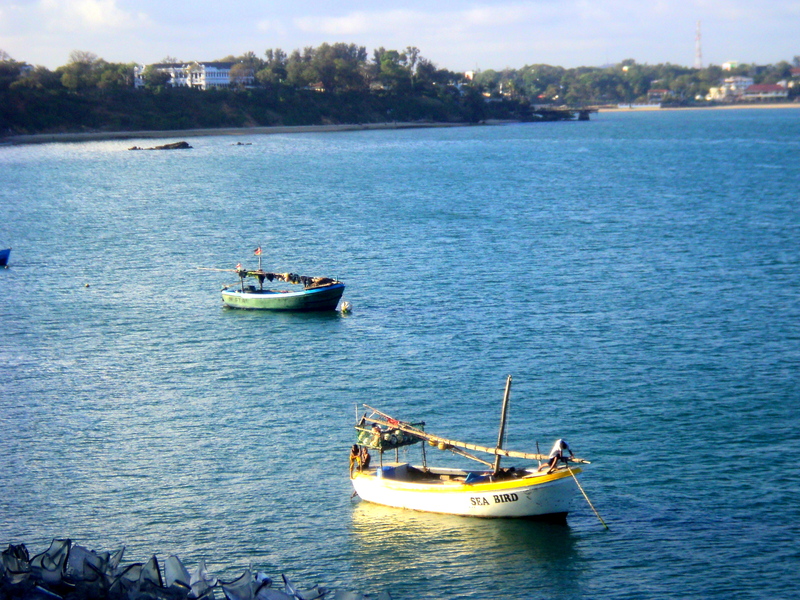 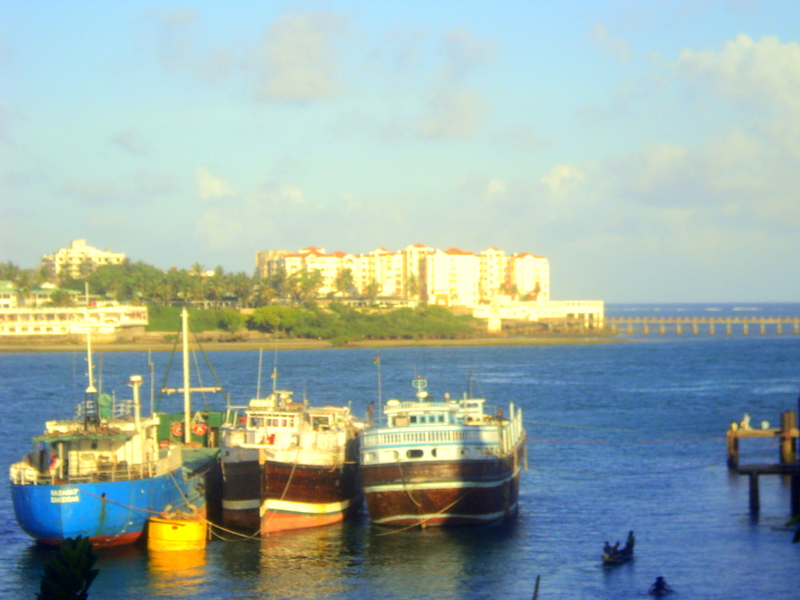 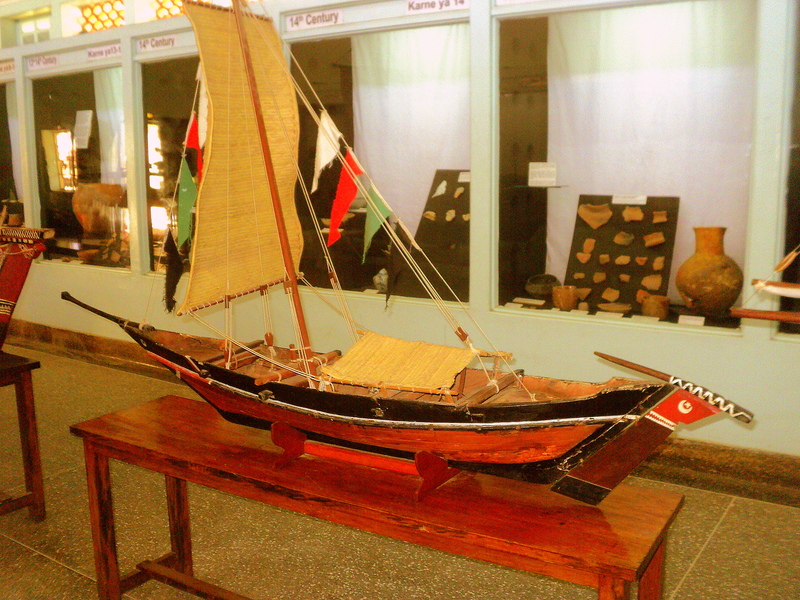 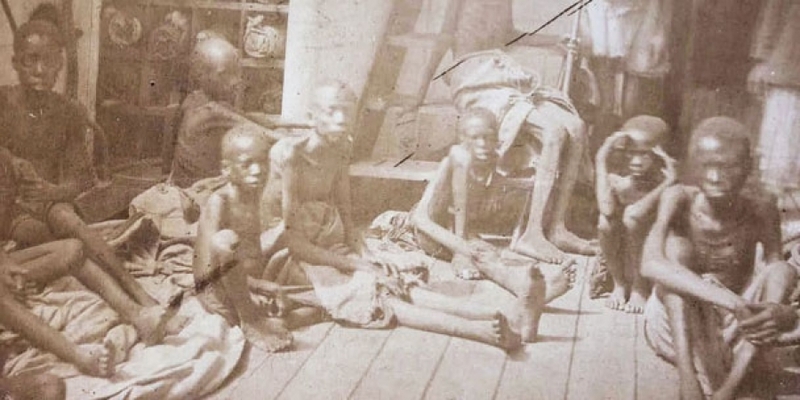 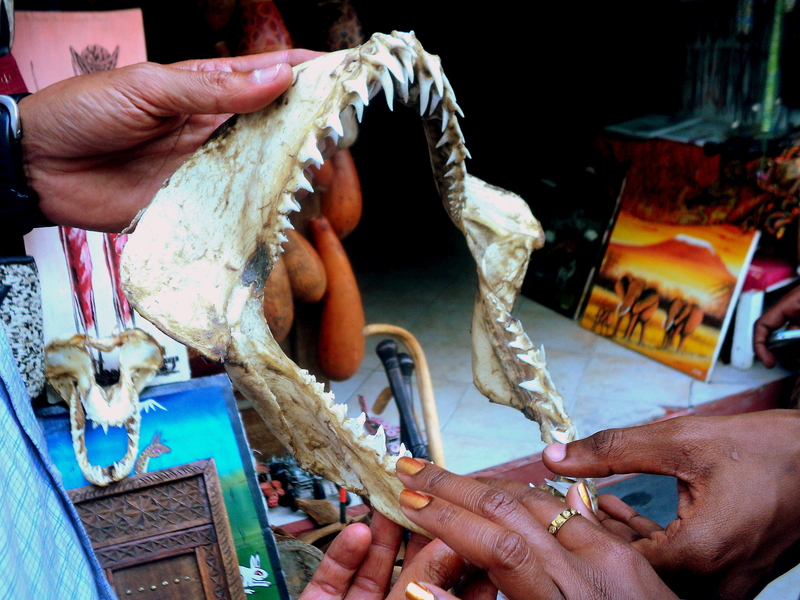 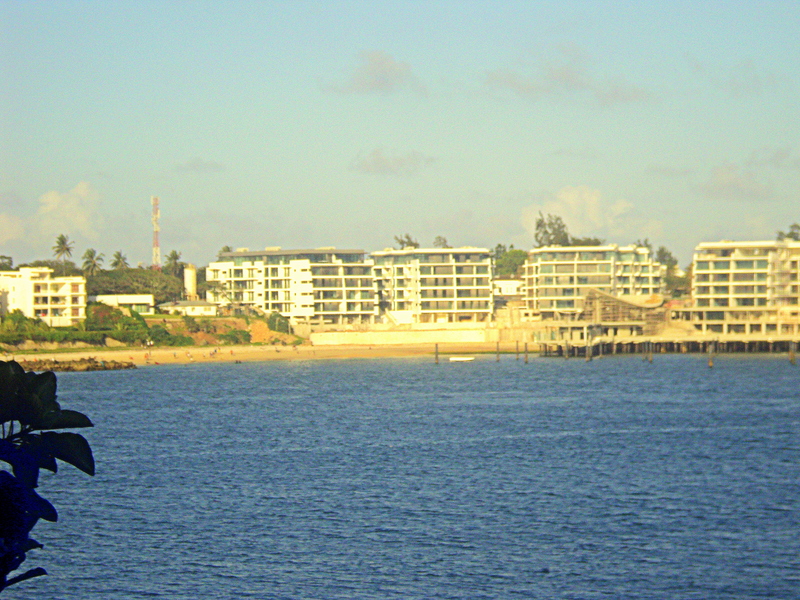 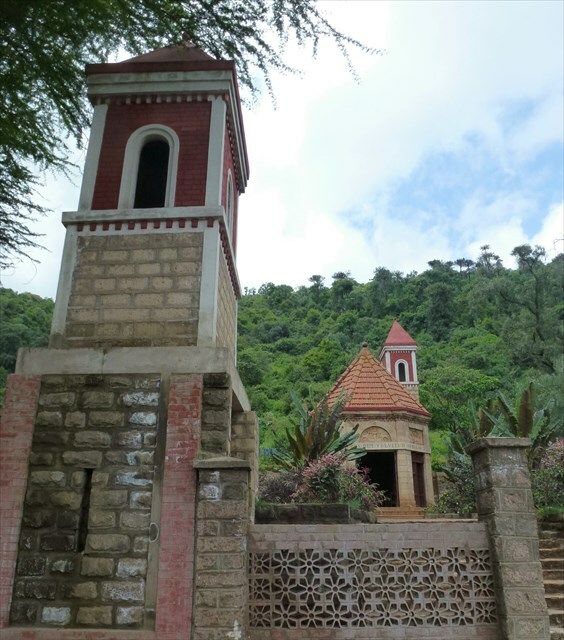 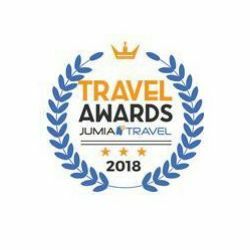 The exotic town has retained its culture and one will find here busy markets, women along the narrow streets in traditional buibui, fishermen selling their fresh fish at the dhow docks and the sweet aroma of varied spices in the air. 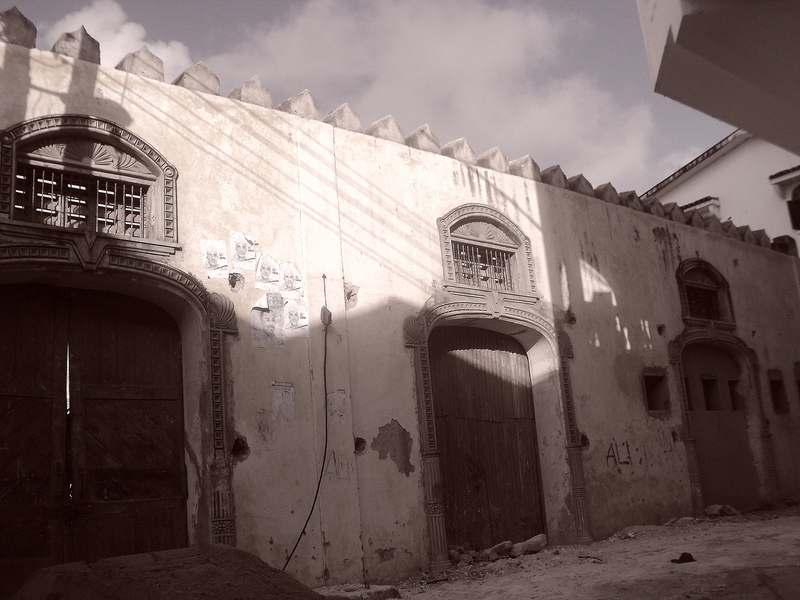 A very old warehouse used to store goods during the Arab trade days Our guide Ali seems to really love his job and is good at it too. 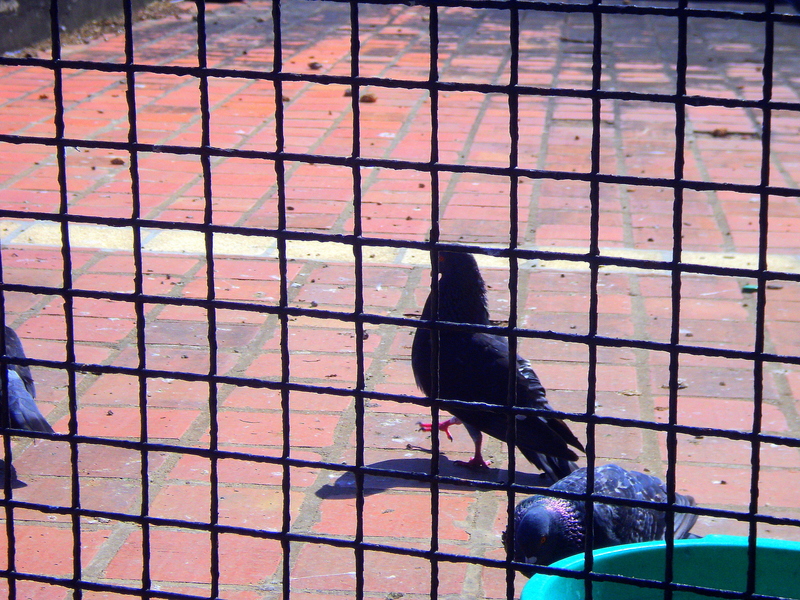 This was an afternoon well spent. 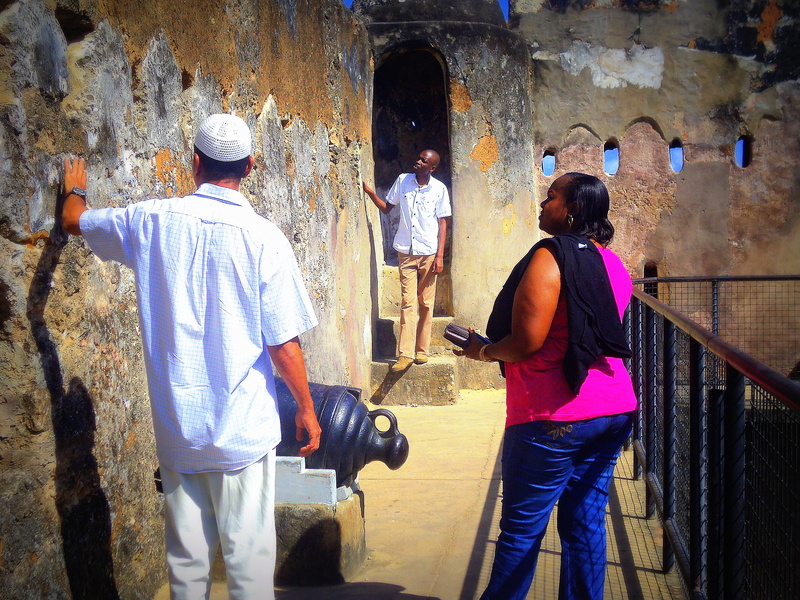 Many thanks to our guide Ali Mohammed for the tour and the things we learnt. 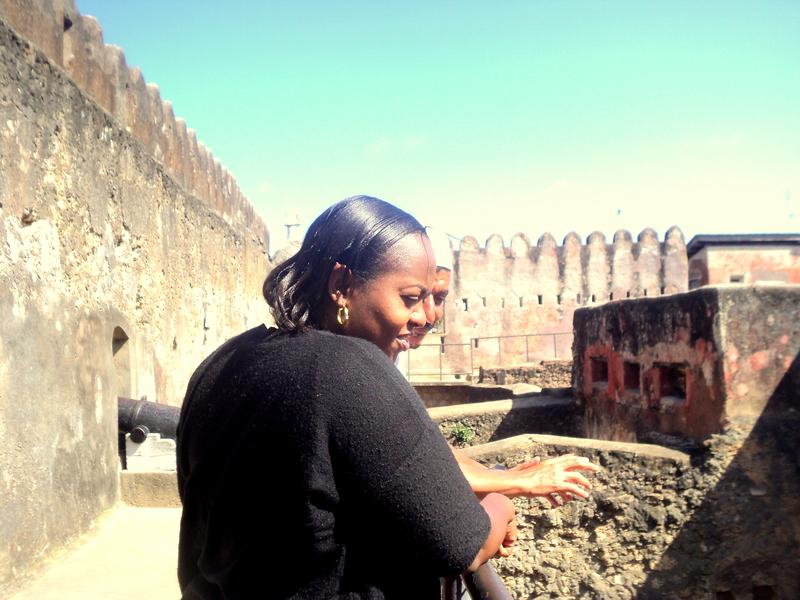 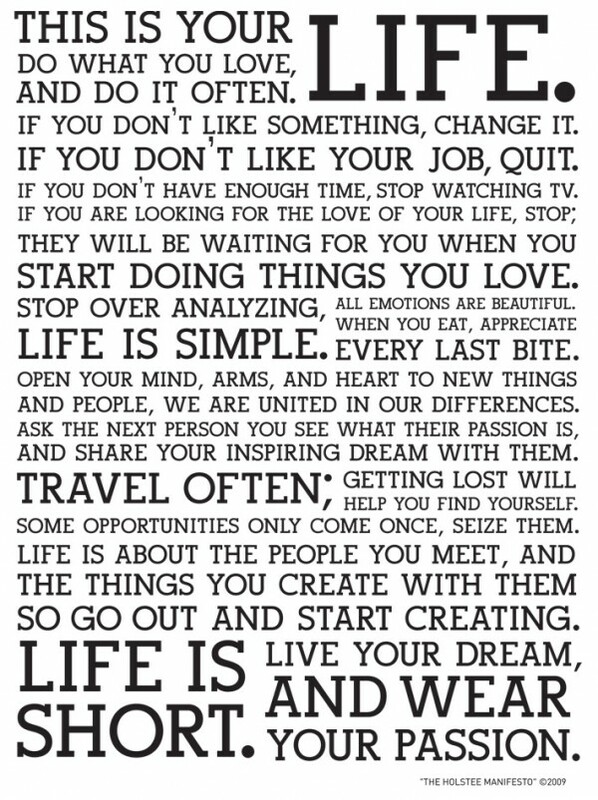 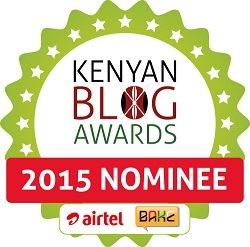 Hope to go on another similar venture soon!